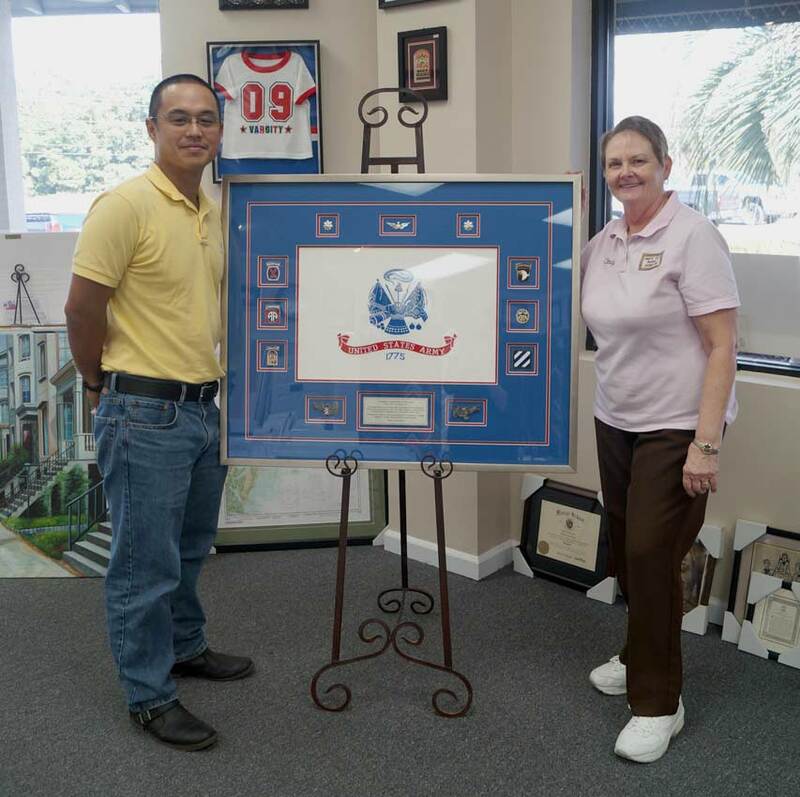 Quality Custom Military Framing – A Happy Customer Picks up His Military Flag Shadow Box For His Commander’s Retirement Ceremony. The quest to find a custom military framing professional or frame shop that offers quality military framing can be a challenge. Not all custom picture framers have the artistic design talent or the technical skills to specialize in quality custom military framing that is conservation grade and artistically appealing. 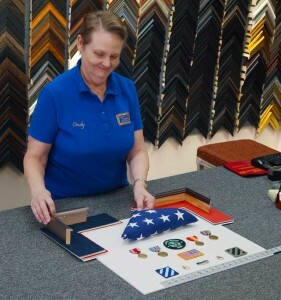 We (Cindy’s Custom Framing & Antique Art, Inc.) have considerable experience as custom military framers with a long resume of completed military framing projects and happy customers. 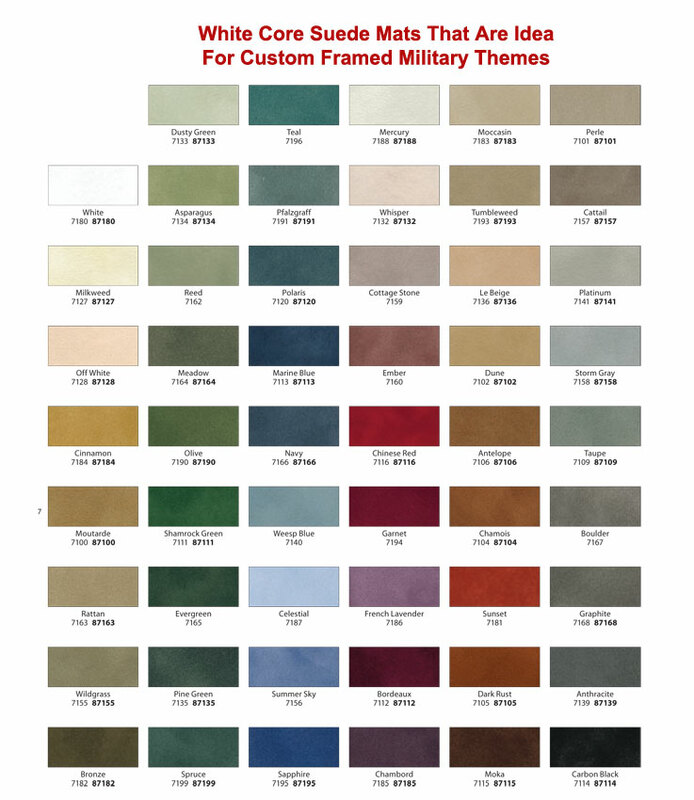 Why Would We Publish A Guide To Selecting A Quality Military Framer? First, here is a footnote about our business. Please read the information about us to learn about our retail picture framing services. Our second objective is to gain your trust as well as your business. However, we know perfectly well that some customers rank price as the highest criteria in their decision-making process. Price matters—we acknowledge that fact. On the other hand, quality matters, too. We understand the shopping process for military customers. We know people shop us and compare our prices. We also know they often frame elsewhere based on a “cheap” price. Therefore, we are providing information on custom framing you will find useful whether you select us or not as your custom military framer. Is There Quality In A Hugely Discounted Price? Perhaps that may not be the question you are willing to ask someone promoting himself/herself as a quality military framing professional. So, let us quickly address frame shops and internet framing prices. Let us shed some light on the framing market. First, it is very important to understand that quality is not synonymous with “cheap” or “bargain” framing! In fact, “quality” and “price” when it comes to custom framing is an oxymoron. With respect to our business philosophy: We are not a cheap “bargain” framer. There are a number of distinctions we will cover which separates quality framers from “bargain” or “cheap picture framers”. We fall into the quality framer classification. 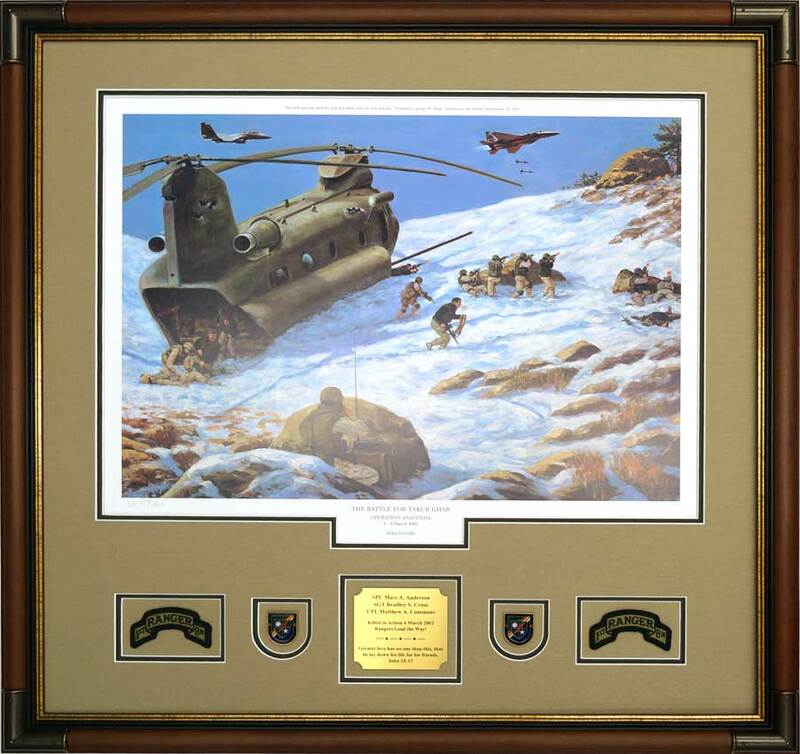 Our emphasis is to produce high quality designed custom framed military pieces that utilize conservation framing material and techniques. The prices we charge for framing services represent the lowest possible price at the highest level of quality. We strike a balance between quality and pricing. A tactic we don’t use is the deceptive marketing strategy employed by many framers. These framers will mark up their prices in order to put big discounts on them! It is deceptive to make you think you are getting a “deal” with them. Not all custom picture framers provide the same level of quality. In an effort to level the field as we strike a balance between quality and price, we felt it would be useful if we published a guide for selecting a quality custom military framer. The questions and suggestions in this guide will expose the methods that sub-par custom military frame shops use to offer “cheap” or “budget” framing prices in exchange for capturing your business. Our guide to selecting a quality military framing professional will assist you by raising a number of important questions that must be addressed when searching for a quality custom picture framer. Defining Bad Framers – The “Dupes” and “Wolves” Will Destroy Your Art and Mementos! 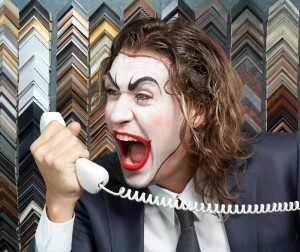 It’s No Joke – A Dirty Little Secret About Custom Framing Is That Bad Picture Framers Can Destroy Your Art! There are “dupes” – nonprofessionals competing for your business who will harm your art. Equally important, there are “wolves” in the custom military framing market that will also destroy your art and mementos. The other one will destroy your items because he/she is not motivated by your desire to capture memories and preserve them for a lifetime. They are motivated by the short-term goal to get you into their shop, and then get you out while maximizing their profit at your expense! Dupes—are the nonprofessional, uninformed framers. They lack the knowledge and technical skills to produce quality work using conservation framing techniques. Many of these are “hobby” framers, who do this on the side or out of their home. Some are artists seeking to supplement their income. Others have storefronts and are in business—but lack the adequate knowledge to safeguard your art. In all cases, the “Dupes” are the “Nonprofessionals” who don’t know enough about conservation framing to effectively protect your art or mementos. They may be well-intentioned, but they still represent a threat to your art and memorabilia. A framer lacking competency will damage your art and mementos which can be permanent. The wolves are the real problem for uninformed consumers seeking a quality picture frame project. The wolves will destroy your art and memorabilia without remorse. This happens because they are driven by their unconscionable decision to use inferior, non-conservation framing materials and practices to save money. Simply put, profit is their primary consideration. A lot of them are well-established framers with frame shops in military towns. They cater to the large turnover that takes place on the military bases near them. They know there are many military framing customers seeking low price points for PCS and retirement gifts. They capitalize on price points. And they capitalize on the fact that the high turnover rate means dissatisfied customers will not come back to complain! There is not a balance between quality and price for the wolves. They do not regard safeguarding art by using conservation framing materials or techniques as a meaningful service to their customers. They feel the service they are rendering is to offer a low price point. And as a part of their decision to offer low framing prices, they sacrifice quality conservation framing methods and materials. The wolf assigns a higher priority to giving the customer a low price point, over preventing the damaging effects of UV light or non-conservation materials on the customer’s art or mementos. The moment you walk out of the wolf’s shop—the clock is rapidly ticking towards the destruction of the art inside the frame! 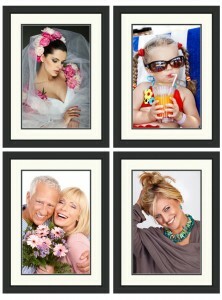 Our purpose is to inform you about the practices of good and bad custom picture framers. Throughout this guide, we will provide links to examples of both good and bad custom military framing. There is no understating the fact that there are a lot of bad picture framers on the market. At this point, you are probably wondering how to protect your art, mementos, and memorabilia against damage by using the wrong framer. This guide will help you make informed decisions in selecting a quality picture framer. Please take the time to read the information below. The uninformed framing consumer has no idea what is behind the glass of something they want to have framed. Conservation Framing Techniques – What You Don’t Know Will Hurt You! These four subject areas will reveal important considerations that will help you choose a custom military picture framer. With the sincerest intent, it is our desire to help you make informed decisions about hiring a custom military framer—even if it is not us! Knowledge is power—use it to protect the prized possessions you want to have custom framed! Don’t fall victim to the dupes/unprofessional framers and the wolves solely based on price considerations. At the start of any design session for a custom framed piece, ask to see examples of the framer’s completed work/projects. Ask specifically to see examples that match what you have in mind to get framed. The framer may have completed projects in their shop awaiting pickup by other customers. Ask the framer if you can look at them. The framer may also have a “brag book” of completed works in an album or on their website’s gallery. Look at as many examples as possible. The examples of their completed work/projects will give you a good sense of their design skills. Understanding these classifications will help you grasp the mental drive behind custom framers. Not all framers have the experience, skills, or motivation to produce great designs for framed art and military subject matter. The biased designers’ reflect their tastes and they will insist upon you accepting their designs without question! Ego is behind the mindset of this framer category. This category of custom picture framers is dominated by framers who design for themselves. For example, they may have a bias towards contemporary or abstract designs for everything they frame. They may also have a bias towards bright colors that clash with the items they frame. It is easy to determine if they are framing for the customer or for themselves. If they place more emphasis on the frame and mats than the art or the objects being framed, they have a tendency to favor their design preferences over your art. Basically, they want their work to take prominence over the items being framed. So when you look at the designs they propose, or when you look at their completed examples, what captures your attention? What is the focal point of their proposal? Looking at examples of their completed projects, what is the most prominent feature of their complete piece? Is it a series of bizarre mat cuts or odd shapes that have no relevancy in the design? Is the framer promoting something that “looks cool” but detracts from the items being framed? Or is your attention drawn to the “objects” or “art” inside the frame? If your eye is not drawn to the objects inside the frame, there is a problem with the design. This should be an indication that the framer may not share your vision for the completed project. His/her job is to showcase YOUR items, not his/her framing design skills. If you are rejected on these accounts, then the framer is subconsciously and contemptuously informing you that what you want is irrelevant. More importantly, they are also telling you that they prefer to have you hang something on the wall that reflects their tastes, as opposed to what you want! Avoid the biased framer; you will regret the decision to use them. The unimaginative framer lacks the desire to excel. They just want to please the customer with the minimal amount of design effort. Unfortunately, there are too many custom military picture framers who fall into this category. They are ill-suited for creative designs. It is no exaggeration that an unimaginative picture framer will put a white mat and a rectangular black frame on everything that comes through the door. Bland, bland, bland—is their curse! Their lack of imagination is also not acceptable for someone seeking a framed piece that is unique. The unimaginative framer will not provide a completed project that you will be proud to display. It is easy to determine if a framer lacks imaginative design skills. Once again, take a look at the framer’s completed projects or examples. If he/she is using the same frames, the same mats, and generally every framed piece is laid out the same—they lack imagination. You will not be satisfied with their design or the finished product. The mindset of a good custom picture framing designer is based on their desire to give their customers something that makes them happy! The ideal custom military framer will be inspired, imaginative, and objective. This framer will possess design skills that are not tainted by a desire to be the center of attention. The key to their design concept is their aim to display the art or objects in a meaningful way—that fulfills their customer’s vision. This means their completed piece will artistically complement the work entrusted to them with a design their customer will be proud to display. The ideal framer will also include in their design the use of conservation grade framing materials and techniques to prolong the life of the objects framed. They will offer suggestions. They will not intimidate their customers with biases. Instead, they will attempt to steer their customer in the direction of a great design that enhances the piece, but does not overwhelm it. They will not force their customers into accepting something that is not right for them. Every objective, imaginative framer desires to make the art or objects framed look spectacular. They will not use their customer as a way to self-inflate their egos with a pompous sense of pride. Find a framer capable of producing a design that captures their customer’s vision of the framed piece using conservation framing techniques and materials. Looking closer at a custom framer’s designs and their work is very beneficial. Below are some issues, questions, and comments that will assist you in uncovering a talented conservation framer. Do They Run A Cookie-Cutter Factory or Do they Offer Custom Framing? How many frame moulding samples do they have to select from? How many mat options do they offer? Do they offer different glass or acrylic choices? Flags framed with diplomas, medals, ribbons, coins, patches, etc. 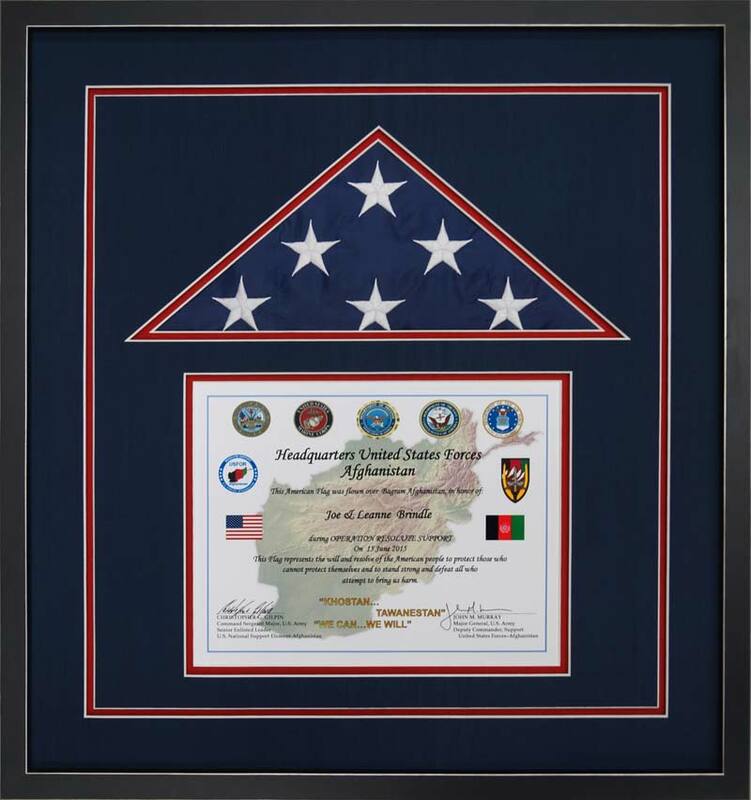 Framed diplomas and certificates that incorporate objects, such as patches, insignia, etc. Framed medals and ribbons, framed guidons, etc. Selecting The Picture Frame Moulding – Artistic Custom Picture Framing Designs Require Large Moulding Options To Achieve A Spectacular Design! A factor that influences whether a framer can offer a large number of unique designs is based on their frame selection. An expansive frame sample selection offers a framer the ability to produce creative custom military designs. 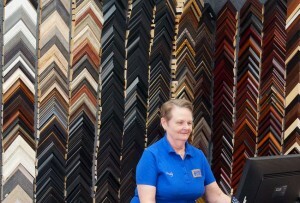 For most frame shops, their frame sample selection is visible by their wall display. Is The Framer Willing To Spend Time With You Developing Your Vision Of The Final Product? This question was briefly addressed when we categorized the types of framers. Look at a framer’s completed projects and online examples of their work. You should feel comfortable working with the framer. If the framer tries to intimidate you at the onset of the design process, walk away. Find a new framer you will be comfortable working with. Will The Framer Modify Poor Design Elements At A Reasonable Price? The obvious is not always obvious! Sometimes custom framers miss the opportunity to help a customer. This often occurs when they miss an opportunity to improve the symmetry of a design. For example, a customer brings a number of items (certificates, medals, rank pins, crests, badges, etc.,) to a framer. The customer may have in mind a shadow box, a flag display, or a display case for the objects. The big question is: what if there are too few objects to make the design symmetrical? This is a common occurrence we see when we frame custom shadow boxes, guidons, certificates, diplomas, and flag displays. When too few items are framed, the framer has a tendency to leave an obvious void or dead space in their design. The final result will be a completed project that reeks of a careless design! If you discover the design flaw, ask the framer if he/she is willing to correct it. Of equal importance, ask: how much will it cost to make the change? Some framers adopt the attitude that they can “change order” you to death with huge price increases each time you add an object to the frame. A slight price increase is reasonable, especially if the dimensions of the frame increases. In our case, if the frame size does not increase we would make the change at no additional cost—even though it means a little more work for us! A clear example of a poor design involves a flag with certificates. In the example of a framed flag on the right, the poor design has an obvious void. The void needs to be filled by adding a small object. It would be a simple matter for the custom framer to add another pin or crest to the display. The framer should have suggested the additional object when he/she made the initial design. However, if the framer falls into the category of Unimaginative Framers—what you see is what you get! However, what is really revealing about this example goes beyond the picture framer’s design skills. This example also reveals the quality of the framer. It is clearly obvious in the example of the framed flag that the framer did not use conservation materials or techniques. This framer blatantly disregarded using materials designed to safeguard the documents and the flag. Example shows that not using acid-free mats causes yellowing—indicating the onset of permanent damage! The use of inferior products is obvious: The bevels around the certificates and the object openings are showing signs of acid contamination. This is indicated by their transformation from white to yellow. The flag display left the frame shop with “white” bevels. Unfortunately, after exposure to light and a little bit of time, the lignin in the mat fibers began to break down and acid went to work on the mats and certificates! The yellow bevels indicate the onset of acid that will damage the contents inside the frame. It is easy to offer framing services online with limited options. 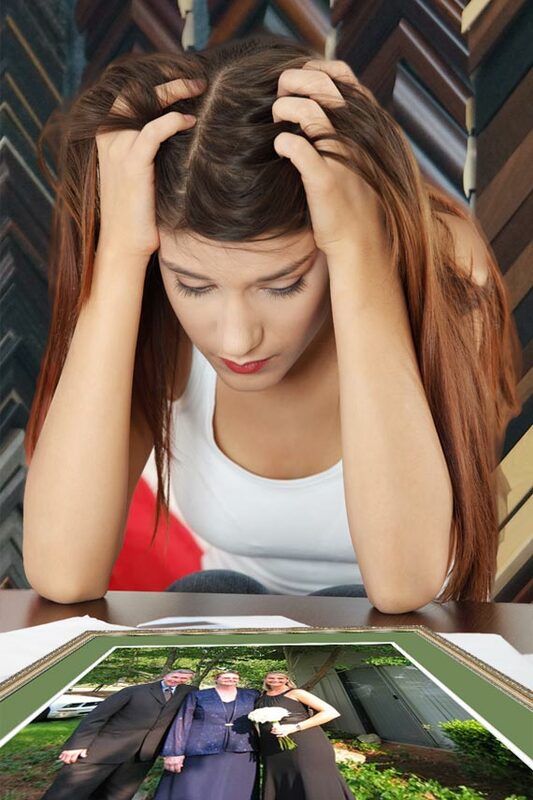 The simple process of framing diplomas, certificates, and art with standardized mat cuts and a limited number of mat openings are offered on the internet by a large number of framers. The quality of these framing sites ranges from good to bad. The real challenge for e-commerce companies involves their ability to offer “complex design choices” online. Building an e-commerce site that features custom designs for shadow boxes and complex flag displays is a huge challenge. It is next to impossible to offer this service without overwhelming the customer with too many options as well as the dynamics facing the customer with creating the designs and putting it all perfectly together. Criticizing the weak success of framers promoting their framing designs for online shadow boxes and display cases sales is not idle yack-yack on our part. In addition to operating this site, we operate an online custom framing site with mats, frames, and different window openings. We are very familiar with the challenges and shortcomings of online framing options for shadow boxes and complex frame designs. So, we can also address the issue of online framing from a position of authority. 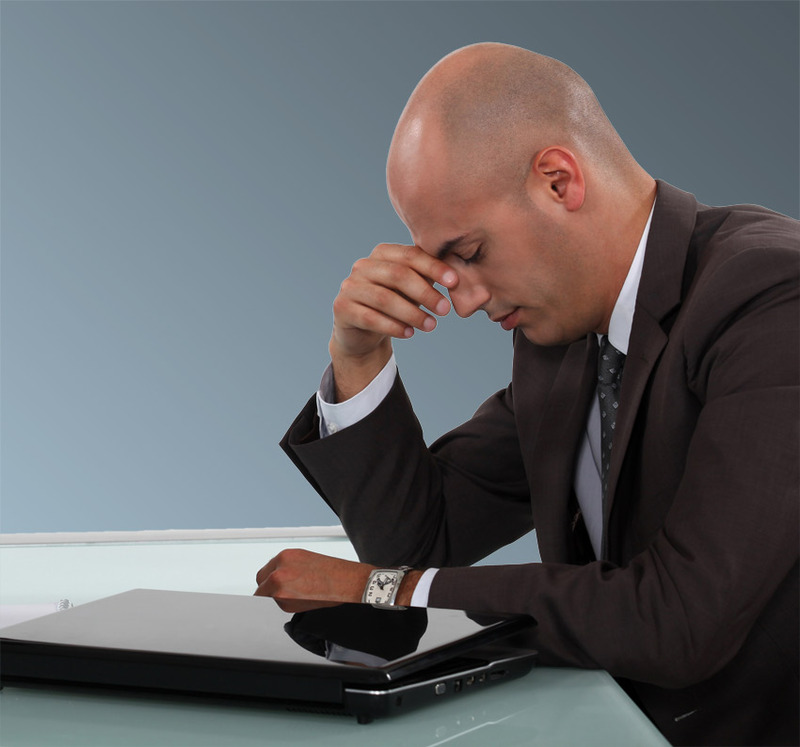 A short attention span spells disaster for the online framing customer. Most customers seeking an online framing site do not have the patience to mix and match frames with mats in order to achieve the desired outcome. Honestly, it can take hours if a customer is intent on experimenting with mat colors and frames. Online framing programs rely heavily on graphics to sell frame designs. There is a tradeoff between page load time and image quality. The better the graphics (large images at higher resolutions), the longer the page will take to load. This is especially true for mobile devices. A great design gets lost in a two-dimensional view. The chances are great for a complex frame design being lost because the computer monitor does not show depth. A two-dimensional view of a frame often has shadows that obscure the frame moulding’s ornate details. We have thousands of different frame profiles. However, from an online two-dimensional view perspective, most of the frames look alike—especially the black frames. Monitor colors present another drawback for online framing. Perceived colors spell trouble for the online picture frame shopper. It’s not that an online shopper can’t pick the colors; the problem is with the customer’s monitor. Any given mat color sample will look differently across a broad range of new and old of monitors. For example, a newer monitor will show colors differently than an older monitor. As monitors age, their colors change. Some people spend a lot of money color calibrating their monitors; other do not. Size matters—especially when viewing a frame design online. Scaling the size of a large shadow box to a small monitor is a troubling problem for online shoppers. Ever tried looking at a large shadow box that’s 32” x 38” on a phone screen? Too much complication will kill an online picture frame design. The number of mat openings and specialized mat cuts are responsible for eliminating exceptional online custom framing designs. The primary obstacle involves the mat openings for objects customers want to have framed. This is especially true when custom-shaped cuts are placed into the mat. It is impossible for an online customer to fully develop their own shadow box design using a large number of mat openings, cut into different shapes and sizes. It is also very difficult for customers to visualize a design online with objects correctly spaced in a manner that is aesthetically pleasing. This is especially true for custom military shadow boxes that contain a large number of items. In this example, a challenge coin is measured to ensure accurate placement on the mat. This type of precision for complex layout and positioning is not possible with an online framing program. So, the question is: can someone design a shadow box, flag display, or framed art piece for you online? Will the design make you happy? Yes, it is possible on both accounts. The first requirement is to find a custom military framer who will spend his/her time with you on the phone and corresponds by email. Second, you must be willing to view and approve their e-mailed design options. So ask the online framer if they will email you designs and other options for their online catalog of designs. Satisfying online customers is something we have excelled at over the years. We have custom framed for a wide variety of active duty and retried military customers across the continuous United States. Once we are contacted, we often go offline in the design process. This means we start the design process with a phone conservation about a prospective client’s framing objectives. For us, the entire process can be handled offline. It may start with a client contacting us with something they have in mind for a shadow box or flag display. Sometimes their interest is based on examples we have posted online or emailed to them. Having a broad range of published examples makes it a simple matter for us to modify a design that suits them. Something very important to consider: Your ability to achieve a precise design with accurate object placement online will be difficult. Your interests are best served by a custom picture framer who does the design work for you and then checks its accuracy. 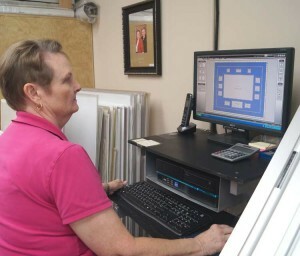 The an example on the left shows a custom frame designer checking a computerized mat design to ensure proper placement of objects inside the frame. Achieving this level of precision would be extremely difficult for the online customer with a “do-it-yourself” frame program! If you shop for art framing services online, will the framer substitute mat colors or arrange objects differently than their illustrated design? For us, this is not a problem. We are custom framers, and we will modify our online designs to please our customers. This customization issue frequently relates to the cookie cutter frame shops or online framers who have a small number of designs, with limited mat color options. So, be sure to ask questions before making an online purchase. Not all custom picture framers have the talent, skill, or mat cutting experience to make an open V-grove design. An open V-groove differs radically from the simple V-groove some framers offer. An open V-groove adds depth and symmetry to a framing design. We are one of very few framers to offer the innovative open V-groove design. We offer the open V-groove at no cost to our customers. We consider the open V-groove part of a design that should be incorporated into military framing projects, where it is possible and practical. To learn more about an open V-groove, please click on the link to our Defining Framed Guidon Quality and Design Page and go midway to the bottom of the page. 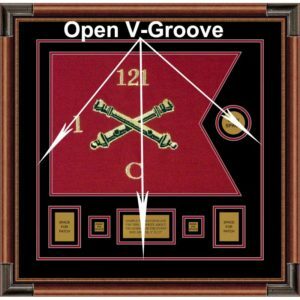 So, if you are looking for something that adds depth and symmetry to your next framed military piece, ask the framer if they offer an “Open V-groove” at no additional cost? Don’t be surprised if he/she has a deer-in-the-headlights look! They probably have never created or been asked to incorporate the complex open v-groove design in any framed military projects. When it comes to custom military framing, there are some elements that greatly enhance framed objects and art. The use of metal corner caps on custom military frames is an excellent design feature. Ask your framer: do they offer metal corner caps for any of their mouldings? 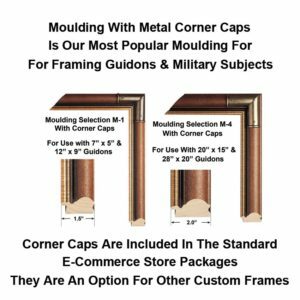 This is our most popular wood profile for framing guidons and military art. 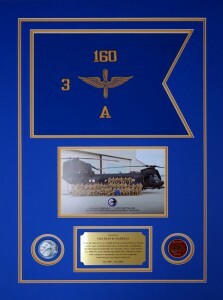 It is one of the selections in our e-commerce store for our standard guidon framing package. 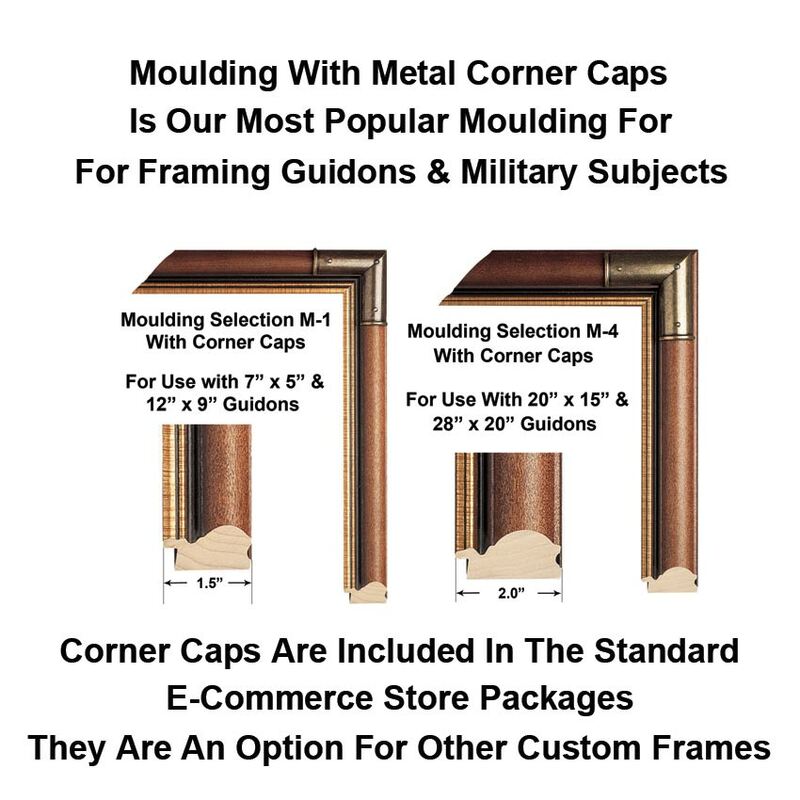 The package price for guidons in our e-commerce store includes the metal corner caps for this frame moulding option. 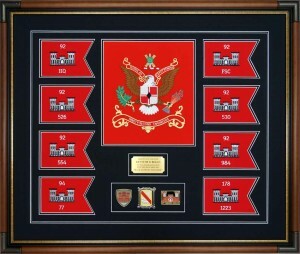 In addition to framing guidons, this frame is very popular for framing a number of other military art themes. It looks especially impressive when framing limited edition prints with patches, insignias, and nameplates. It is also very popular for framing awards and certificates. Metal corner caps are a great design choice for framing combinations of small objects with photos, patches, ribbons, crests, etc. Conservation framing materials and techniques are essential elements in quality picture framing designed to preserve the items you wish to frame. Is Your Framer Pronouncing A Death Sentence Before The Birth Announcement Of A Design? There is no sidestepping the fact that your objects are doomed to a short life unless they are framed using conservation framing materials and techniques. 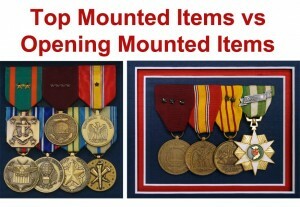 Consider the following items that we regularly frame for our active duty and retired military framing customers. These are important items—in some cases they are irreplaceable. If price matters more than the longevity of the items listed above, then skip this section. If price is a driving force behind your decision to frame, then engage the services of the “bargain” picture framer. The headline above will become a self-fulfilling prophecy. By accepting a picture framer’s cheap price with poor quality, you will be signing a death sentence to any collectible objects that are important heirlooms to you and your family. 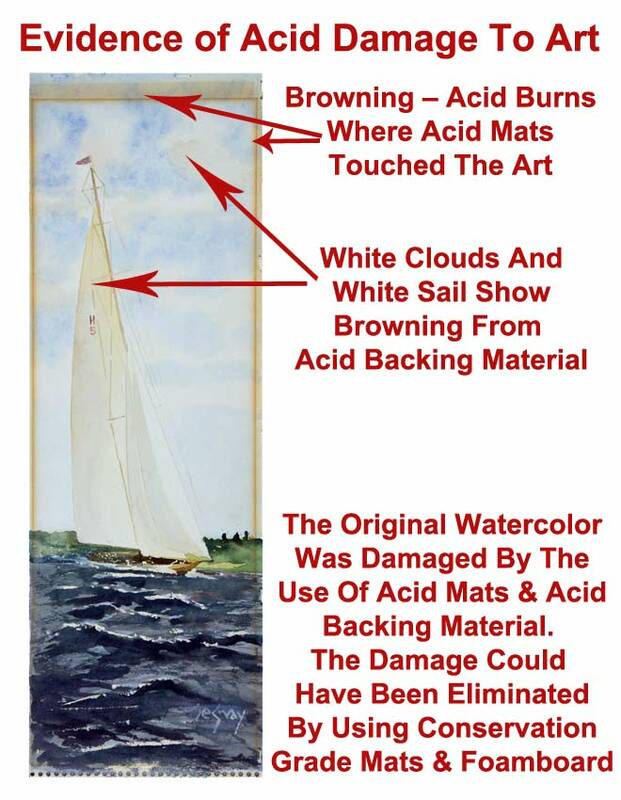 The browning effect in this watercolor of a sailboat shows clear evidence of damage from acid mats and acid backing. In all seriousness, you will see the results of your decision to forego conservation framing in as little as a year. Evidence of this type of damage is indicated in the illustration on the left showing acid damage from mats and backing material on this original watercolor. In this example, the outline of the acid mats is clearly obvious by the brown acid contamination. 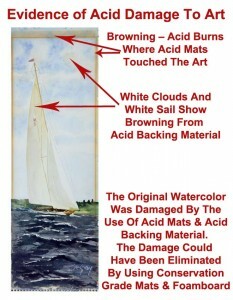 The white sail and the white clouds reveal further acid damage. Acid from the backing material has leeched into the art and stained the art brown. The damage is also evident at the bottom of the print in the water areas. Not using conservation framing practices and materials will have dire consequences. The mats inside the frame will start yellowing, then show brown acid stains. In addition, damage from fading will occur. Acid damage is inevitable from the mats, foamboard, adhesives, and other frame construction materials. The acid will contaminate the documents and fabrics. 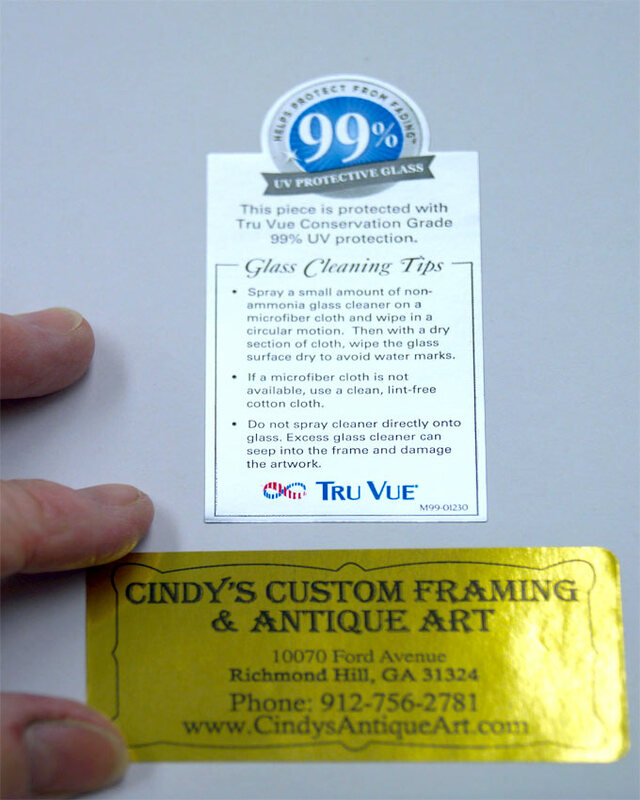 UV damage from the non-protective regular glass will fade the mats and items in the frame. Fabrics in the frame will fade and become brittle. Flags and guidons will brown as a result of acid contamination from cheap packing tapes used to hold them in place. In addition, flags and guidons will sag and fall when the tape releases after time. The value of limited edition and original art will plummet in value. In some cases they will become totally valueless because they will fade so badly and acquire acid burns from cheap mats, cheap tape, and acid foamboard. We have seen original black marker and pen autographs on documents worth thousands of dollars decline significantly in value because the black ink signatures on the documents faded to light brown or totally disappeared. On the other hand, please take the suggestions and questions in the Conservation Framing Section to heart. Use our information if you want your framed objects preserved for future generations to enjoy. Our insistence upon using conservation framing is not a “scare” tactic designed to trigger you into panicking over custom military framing. Instead, we are revealing a harsh reality about the framing business. Every business has its share of dirty little trade secrets. Custom picture framing is no exception. 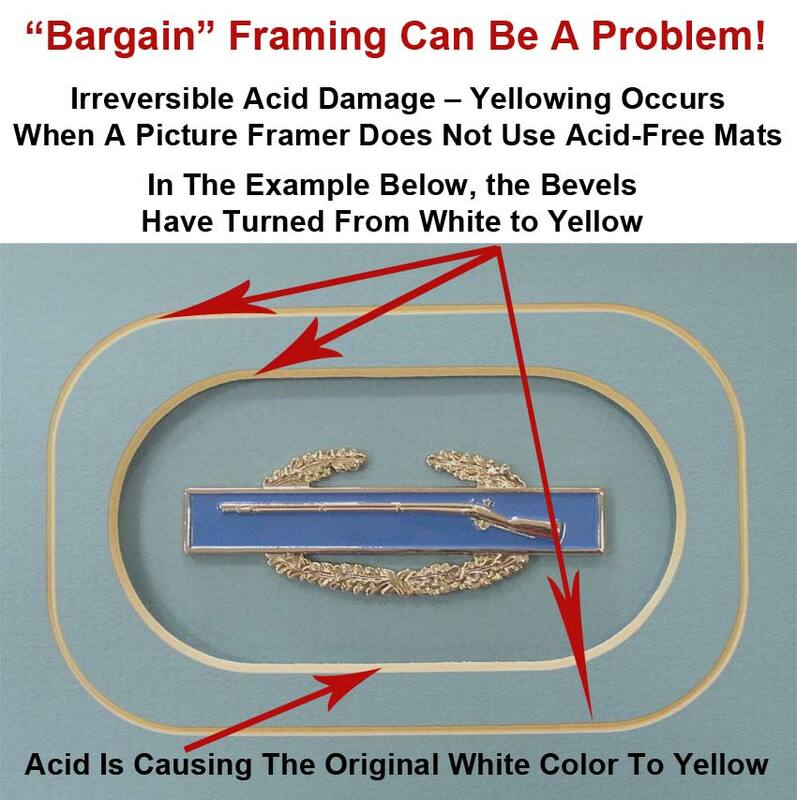 Years of experience re-framing items originally done by “bargain framers” has been an eye-opener for us. The real tragedy has been with honest soldiers and their families unknowingly trusting someone to safeguard and preserve their precious mementos—only to see that trust broken by framers who are technically inept or too greedy to care. We view our responsibility as custom picture framers to safeguard your possessions for future generations as a very serious matter. It is for that reason alone that we practice conservation framing. 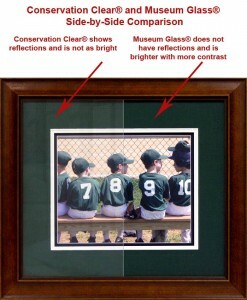 Please read on to learn more about conservation framing. The light that warms us, illuminates us, and provides our lives with a modern convenience is also the light that will destroy our art! The trick is to filter out the spectrums of the light that are destructive to art! This filtering is done by blocking destructive UV light from the art. Does your picture framer use a minimum of 97% UV protective glass or acrylic to protect your framed art and heirlooms from fading? 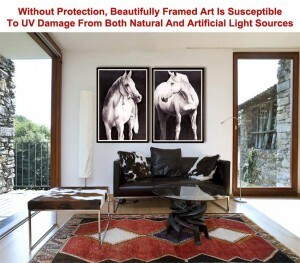 Both natural light and artificial light will inflict damage on unprotected framed art and objects. UV damage results when framed objects are not protected against harmful UV light. This damage is cumulative and irreversible—meaning the damage can’t be undone! Unless a framer furnishes UV protective glass/acrylic as part of the frame design, they are condemning art to a very short lifespan. The minimum industry standard established for conservation framing is 97% UV protected glass or acrylic. We exceed the minimum standard by using 99% UV protective glass and acrylic. Don’t Settle For Plain Glass! We do not offer plain, unprotected UV glass as an option. The protective glass/acrylic we use has 99% UV protective coatings specifically designed to provide the maximum UV protection available. That degree of protection is not available with plain glass. Keep in mind, cheap glass lacks UV protection. 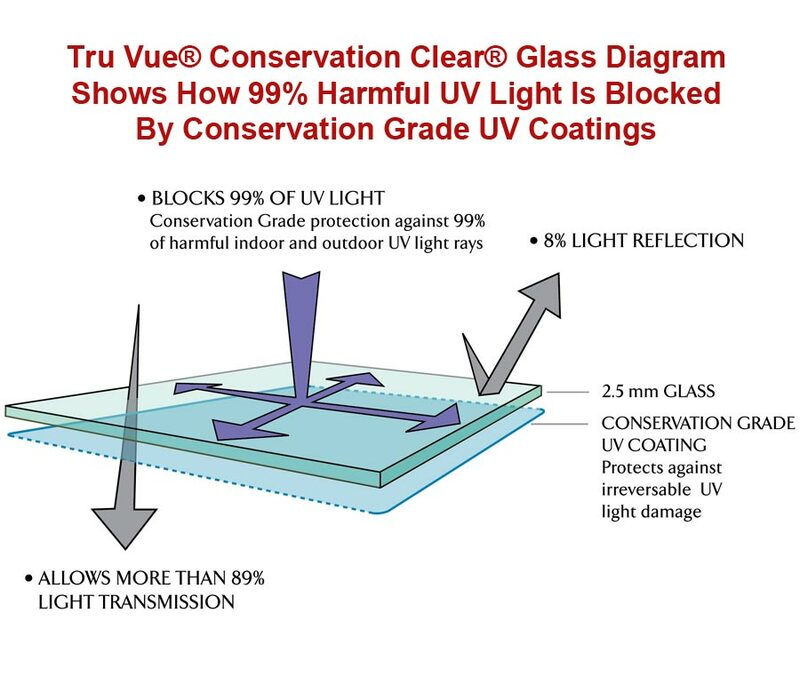 The Tru Vue® Conservation Clear® Glass Diagram on the left shows how harmful UV Light is blocked by conservation grade coatings on the glass. 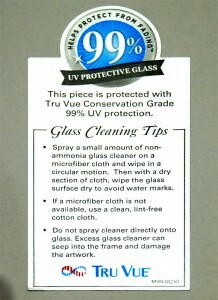 So, ask your framer: do they provide at least 97% UV protective glass or acrylic? If they do, will it be included as part of the frame project? If you do not use UV protective glass or acrylic, then you can expect to see your art, documents, and mats beginning to fade in less than one year. Their damage from fading is cumulative and permanent. The damage is also inevitable. Even fabrics will become brittle and suffer irreversible damage from UV light. The damage caused by UV light is not restricted to sunlight. Interior lights are also a BIG problem. Even overhead florescent lights emit UV that will damage unprotected framed pieces. Museum Glass® is our go-to-choice for premium custom military framing because of its maximum visibility, excellent contrast, and minimal reflection. Museum Glass® is one of our favorite premium glass options. It is our go-to choice for premium custom military framing projects where the client desires maximum visibility and minimal reflection for the objects being framed. It is well-suited for framed guidons, shadow boxes, flag displays, and framed art. 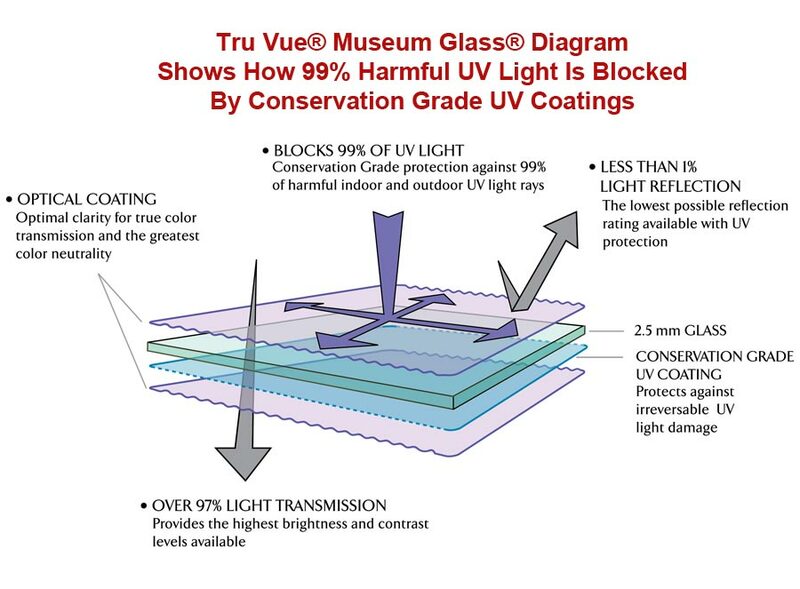 The Tru Vue® Museum Glass® blocks 99% UV light and is conservation grade. It allows less than 1% light reflection. This is the lowest possible light reflection rating available for UV protection. In addition to the low light reflection, it offers 97% light transmission. The light transmission and anti-reflection characteristics of this glass make it nearly invisible. It is an ideal choice for effectively blocking UV light, where the goal is to display cleaner, brighter objects inside the frame. This glass also provides the highest brightness and contrast levels available. 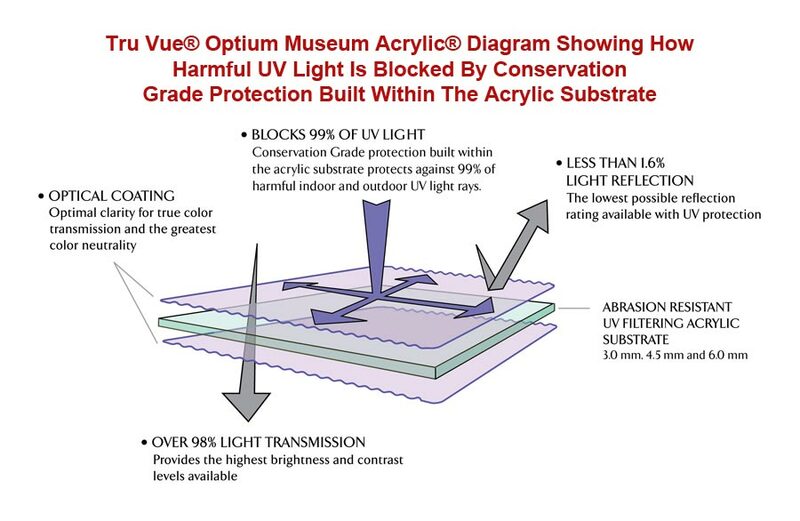 Optical coatings for Museum Glass® provide optimal clarity for true color transmission and the greatest color neutrality. A good choice of acid-free mats indicates a lot about a picture framer. First, if the framer does not offer conservation grade mats, then the frame project cannot be classified as conservation framing. 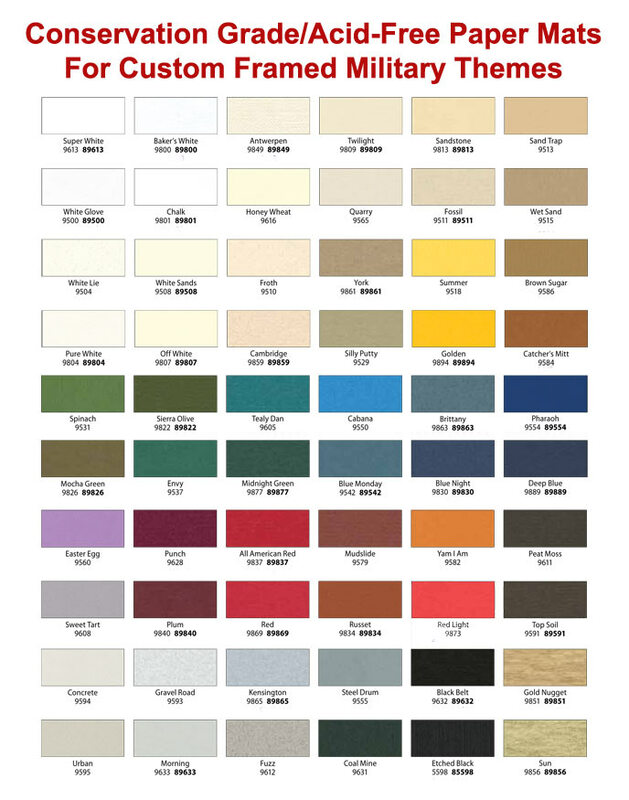 If the framer offers acid-free mats/conservation grade mats, ask to see mat options that include suede mats, linen mats, silken mats and color core mats. If the framer does not offer these options in acid-free choices or if the framer gets a deer-in-the-headlights look, you may want to rethink doing business with them. As mentioned in the conservation section, if your framer is not using acid-free mats or lignin-free mats, he/she is guaranteeing you a short life for the mats and value of the framed art. Do you offer acid-free mats? Do you offer acid-free mats in options that include suede mats, linen mats, silken mats, and color core mats? The importance of mat colors and style selection options cannot be overstated. Many military items look much better when framed with premium mat combinations. For example, fabric products such as flags and guidons have a distinctive look when framed with linen and silken mats. The texture in the mats brings out the texture in the fabric. Also suede mats provide a sense of richness to gold and bronze objects. Black and red suede mat combinations go exceptionally well with crests, coins, pins, medals, and gold objects. 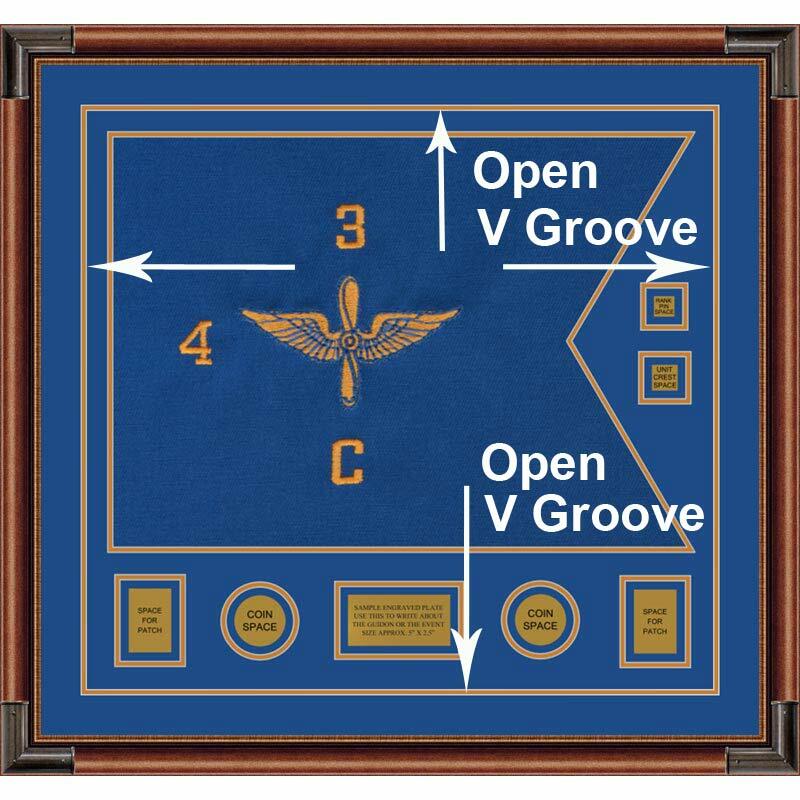 We also frame guidons and shadow boxes with suede mat combinations. Another exceptional mat option is provided with acid free “leather” mats. Like everything else in custom framing, there is a right way and wrong way to attach objects. The way a flag or guidon is mounted can also impact the way it will look many years from now. 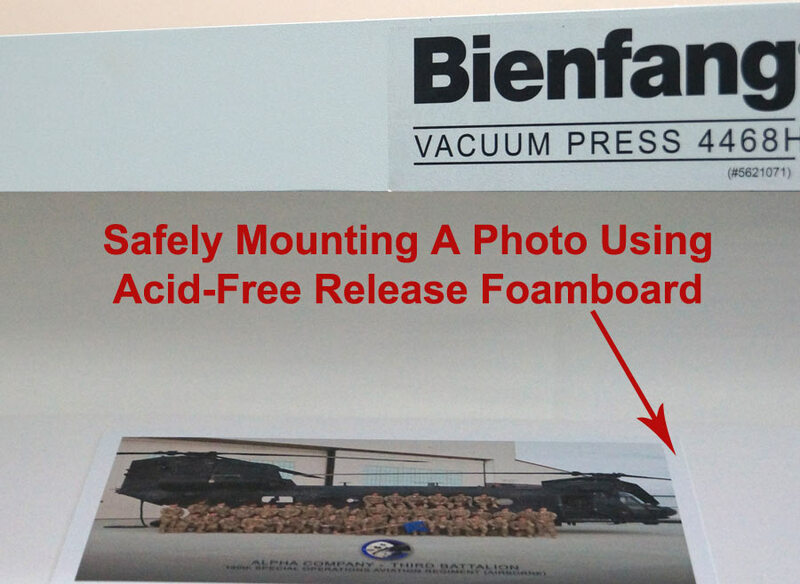 Properly mounting a mat with a flag or guidon for rigidity to a flat surface requires the use of an acid-free foamboard. Some picture framers ignore the importance of using acid-free foamboard. They do this because the mounted upon foamboard is “out of sight” from their customers. But when it comes to quality custom framing—what is out of sight today, will have a visual impact in the future! Fabrics, photographs, documents, and mats will be damaged by acid in the foamboard’s paper fibers. So, using foamboard that is not acid-free does have negative consequences for the objects you place inside the frame. Only, it will take you a little time to see it! 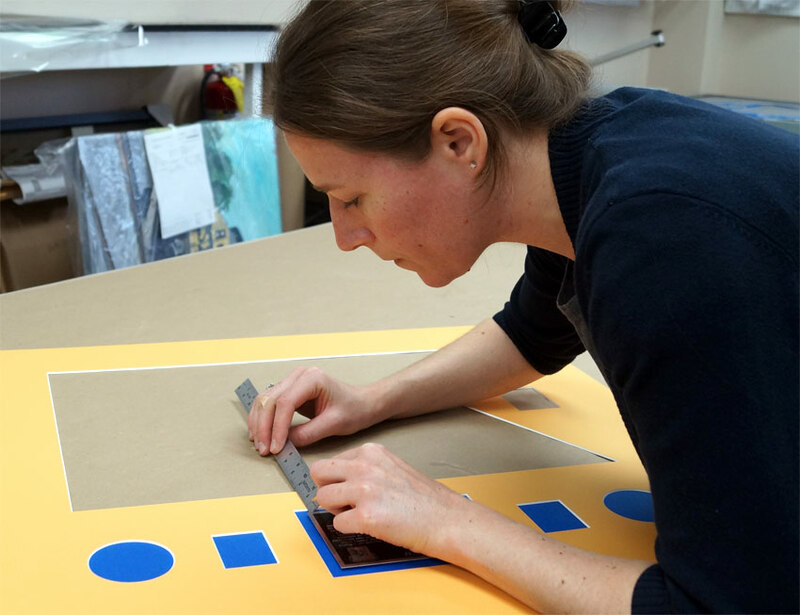 We secure all guidons and flags to an acid-free foamboard or an acid-free mat board by stitching it in place as part of our conservation framing techniques. 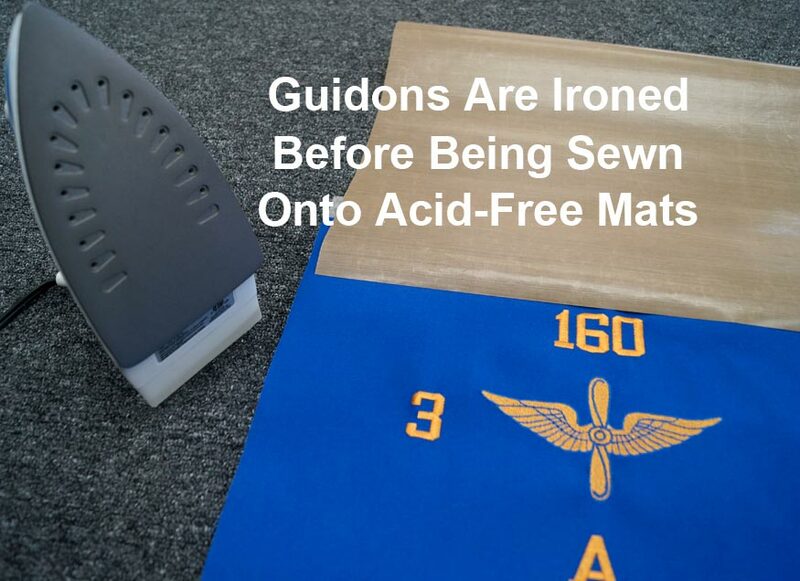 The best way to secure a flag or guidon is to sew the flag or guidon to an acid-free mat board. Sewing the flag or guidon in place tightly stretches the fabric. This procedure will eliminate most, if not all the wrinkles. In addition, this method ensures the guidon will not fall, sag, or drop during handling, display, or transport. An alternative to sewing is to use stainless steel pins for mounting flags, guidons, and fabrics. Some conservation framers use stainless steel pins for their mounting procedure. When possible, we do not use pins because the flag or guidon cannot be stretched as tight with pins. Frankly, a flag sewn in place will look superior to other flag framing methods. We sew all flat flags and guidons on an acid-free mat board using a commercial sewing machine along with hand sewing when required. 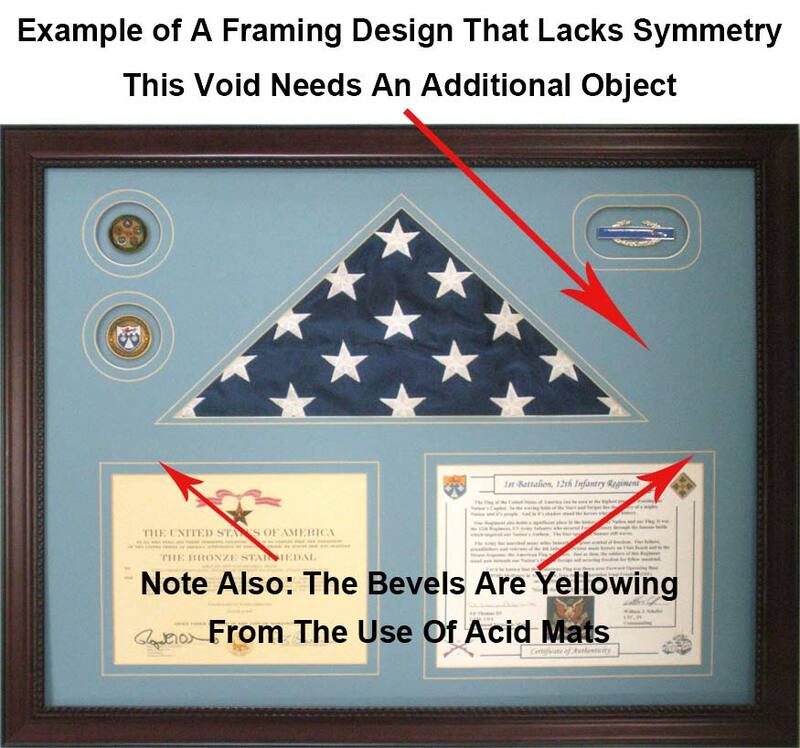 Is acid-free mat board and foamboard used for securing flags and guidons in shadow boxes, flag displays, or guidon frames? What method is used to secure a guidon or flag in place? Since this guide is orientated toward helping you find a quality conservation picture framer, the way objects and items are mounted has a huge bearing on the life expectancy of the items inside the frame. The first Wrong Way to mount objects is to use spray adhesives. 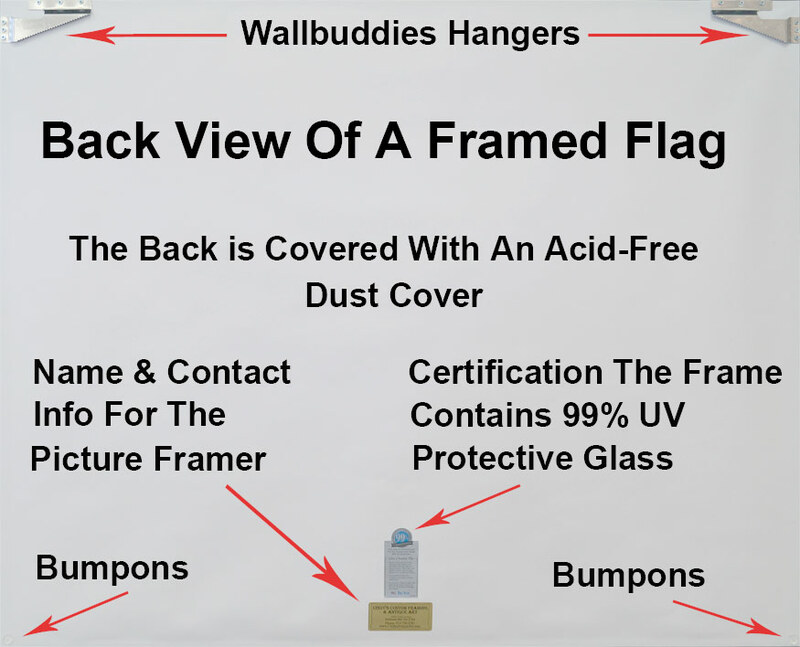 If the framer uses spray adhesives to secure photos, objects, flags, or the guidon inside the frame a problem called, “off-gassing” will occur. Off-gassing is the release of chemicals inside the frame from the adhesive. These chemicals risk damaging the items framed. This is not an acceptable conservation mounting method for picture framing. The use of spray adhesives is a non-reversible framing process. This means, for example, if you want to remove a picture that has been spray mounted, you risk damaging the picture when you take it out. It also means the picture may acquire chemicals and other residue that will be attached to it after the photograph has been removed from the frame. A second issue directly associated with spray adhesive mounting involves the uncertainty that spray adhesives will hold objects in place over time. We have seen evidence of objects spray mounted by other picture framers fall inside the frame. Spray adhesives are particularly prone to release when framed shadow boxes are subjected to heat—as in a moving van crossing the country in summer or in a storage facility that is not environmentally controlled! So it is important to avoid framers who spray mount objects. 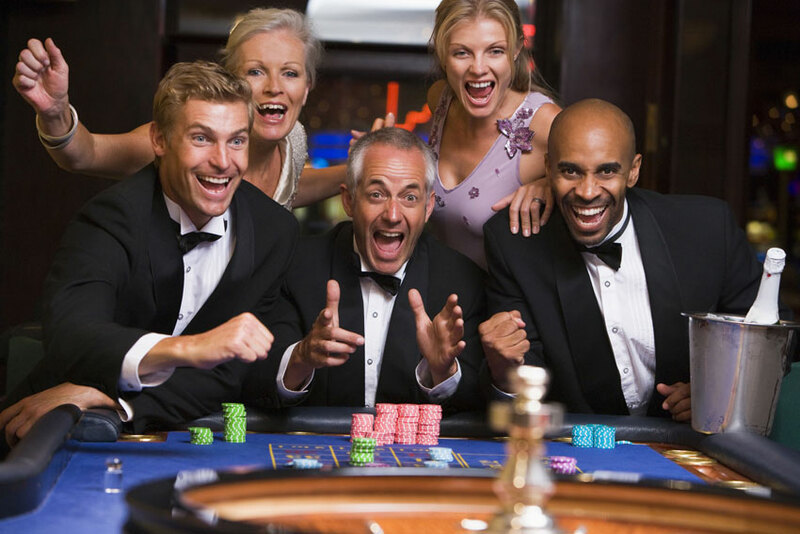 The risk of items falling or sagging inside the frame is too great to ignore. The second Wrong Way to mount objects is by using tape. Seeing other custom picture framers use tape for mounting is a particular sore point for us. It’s a pet peeve because most people who seek a custom picture framer have no idea about the way objects are secured in a frame. The problem with bad framers is they obtain a lot of business because they offer “cheap” services. The hidden danger is what they are doing inside the frame in order to keep their prices “cheap” and competitive. They are basically giving their customers a bad product with a short lifespan—for a low price and high profit for themselves! Most cheap picture frame shop owners will secure flags and guidons in place by taping them to an acid foamboard as illustrated by the example on the left. As explained earlier, using an acid foamboard is bad enough on its own merit. However, even more destructive is the use of packing tape to mount or secure a flag or guidon to the foamboard. First, using packing tape puts the flag or guidon at risk of slipping or falling. 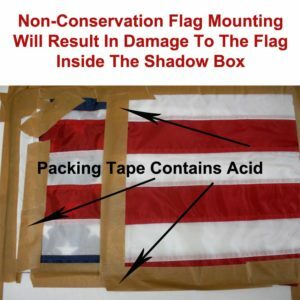 In addition, the chemicals in the tape are prone to damage to the flag or guidon. Chemicals from the tape will leach out and damage other items inside the frame. In many instances, framed flags and guidons are stained brown from the chemicals. This happens when the tape bleeds out. Also, the flags and guidons will be stained from “acid burns” or from “acid contamination” from the tape and the foamboard. I want to emphasize this point: Using tape is the worst method for attaching a flag or guidon. It will cause the guidon to fall, slip, or sag. The third Wrong Way items are attached involves using nickel plated pins that will rust and stain the fabric. Stainless steel pins are acceptable, but not nickel plated pins. In time, nickel plated pins will rust and the rust will transfer to the fabric and other items framed. Once again, our preference is for sewing fabric to an acid-free mat board or foamboard. Is acid-free mat board and acid-free foamboard used for attaching flags, guidons, art, and other objects? 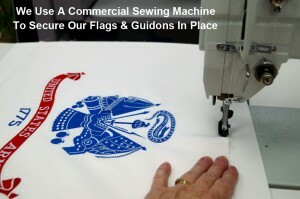 Are flags, guidons, or fabrics secured to acid-free mat board and or foamboard by sewing it? 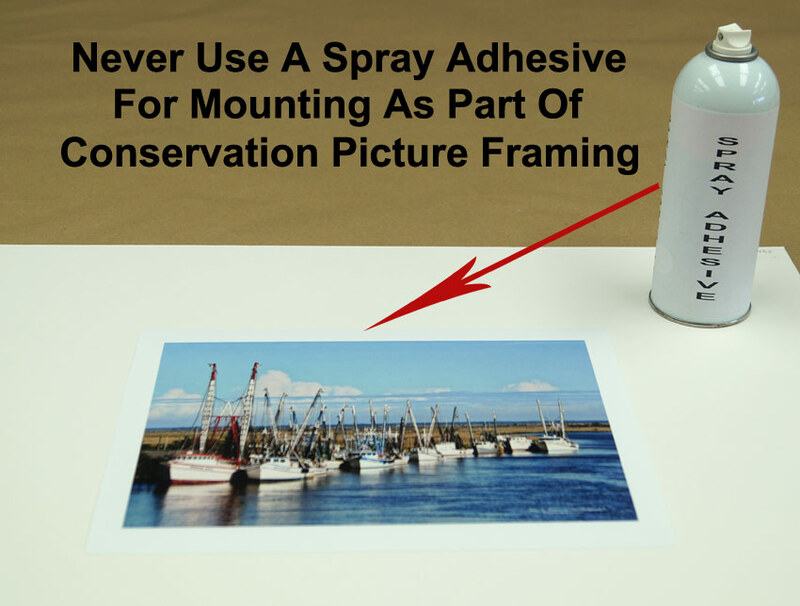 Are spray adhesives used to secure objects inside the frame? Are flags and guidons taped in place to secure them in the frame? 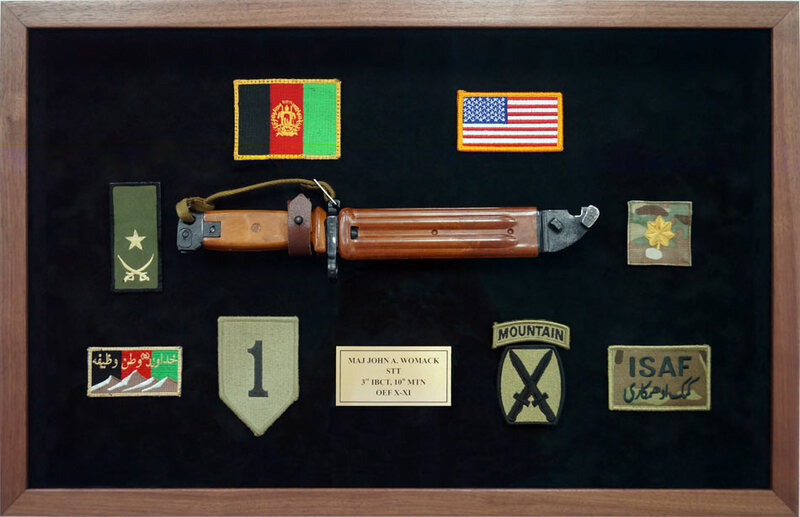 Including a nameplate in a guidon frame, flag display case, shadow box, or on art framed for display is a huge part of custom military framing. Most nameplates commemorate an event that is represented by the framed piece. The nameplate is often included in a PCS guidon or shadow box gift attributing an important event, military retirement, change of command, departure, or participation in a military campaign. However, one aspect of custom military framing that is often overlooked involves the correct way to mount the nameplate. The nameplate should be mounted using acid-free adhesives. This mounting process takes up to 24 hours for the adhesive to cure and setup. 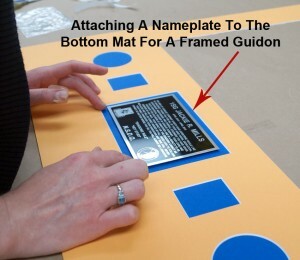 In addition to mounting it correctly, the nameplate requires one final step before it can be placed inside the frame with the mats. That final step involves cleaning the nameplate after it is attached to the mats or the mat board. Handling and attaching a nameplate risks fingerprint contamination from salt in the picture framer’s fingertips as he/she works with the nameplate. Anyone who has owned a blued steel weapon understands that fingerprints will form rust on the metal if left uncleaned. Certain metals used to manufacture nameplates are also subject to fingerprinting damage from corrosion. For this reason, we clean nameplates to remove fingerprints after they are mounted. Are the nameplates mounted with acid-free adhesives? Are the nameplates cleaned with chemicals to remove fingerprints? 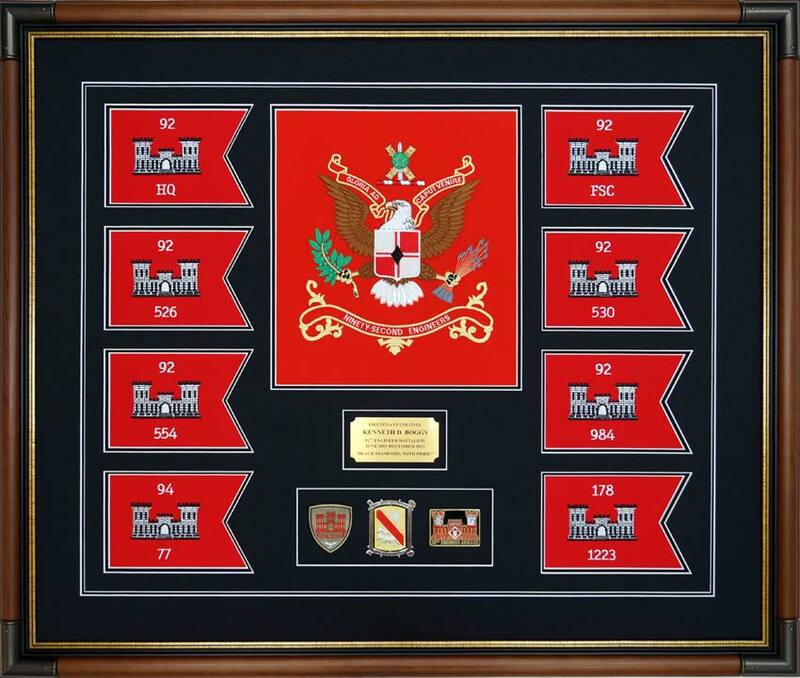 In top mounted applications, items such as a ribbons, medals, crests, rank pins, coins, patches, insignias or similar items are attached to the top mat that is being framed. In opening mounted applications, the items for the shadow box or display are mounted to the bottom mat. Then, additional mats with openings are stacked over the preceding mat. For example, if the shadow has “triple” mats, the object is attached to the bottom mat, and then two additional mats are stacked on top of each other. This method creates an opening that causes the object to appear recessed in the mats. In either case, there are right ways and wrong ways for attaching objects. Most coin-shaped objects, insignia, patches, and tabs are attached using acid-free adhesives. We have included an example on the right that shows this application process for aviator wings. The left image shows the application, and the right image shows the wings mounted inside the opening for a shadow box that has triple mats. Larger objects such as knives are mounted in a number of ways to safely secure the knife to the mats and foamboard. Devices ranging from specialized plastic mounting clips to Nylon cord are also used to attach larger objects in a shadow box. At other times, a monofilament line or clear nylon thread is used to secure objects. We also use a number of attachment devices specially designed for specific objects. 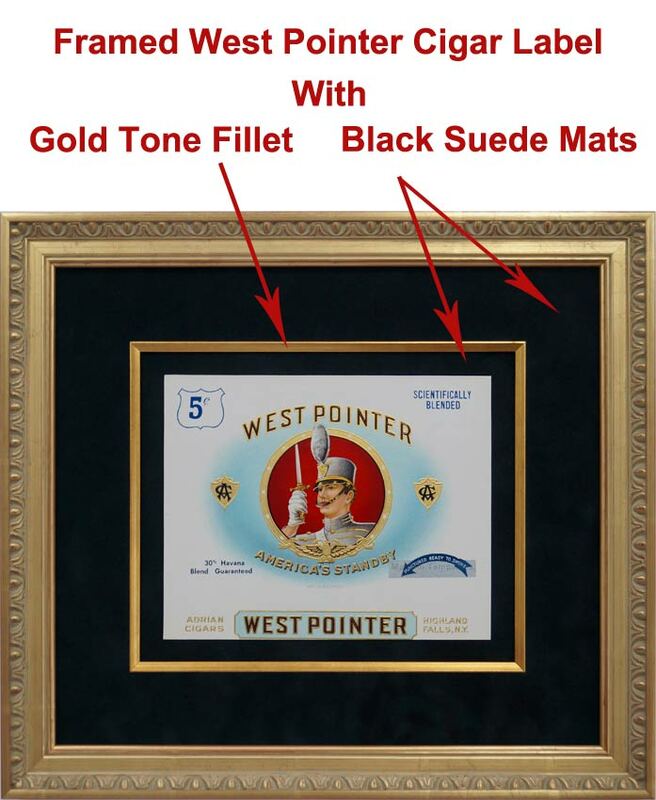 However, the main concern for framing military shadow boxes is the mounting procedure for coins, badges, tabs, patches, insignia, rank pins, medals, and ribbons. An application of double stick tape should NOT be used. The tape will release, causing the objects to fall. Spray adhesives should NOT be used. Any adhesives that will off-gas, or contain acid components should NOT be used. How are items for a military shadow box/display case/guidon frame mounted? Will the mounting procedure include adhesives that contain acid or will off-gas? Are items mounted with double stick tape? 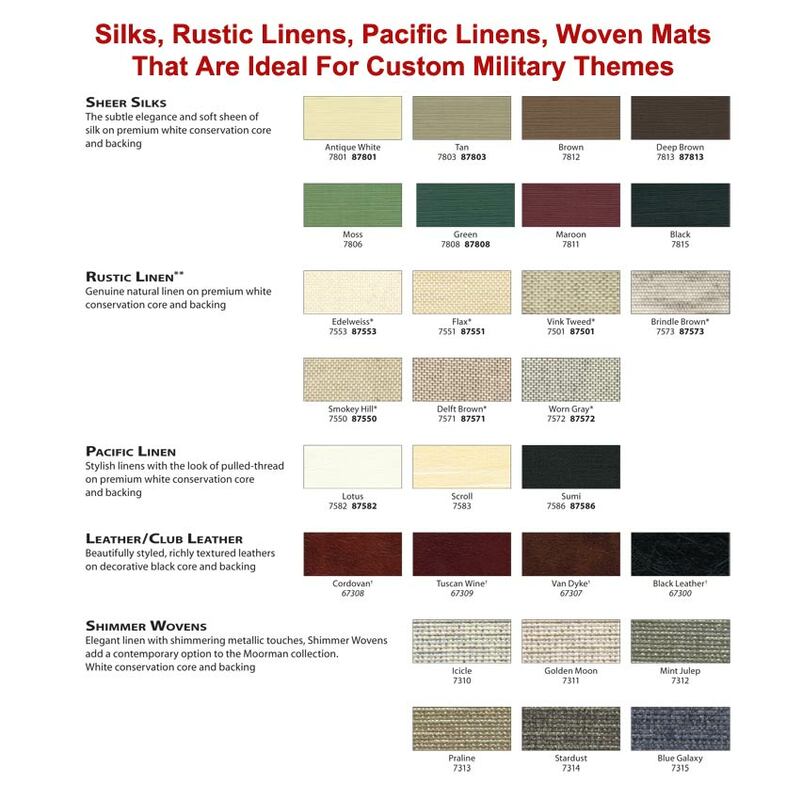 Earlier, we briefly introduced the need to use acid-free mats/conservation grade mats for custom military framing. As non-conservation mats age they, break down and start to form acid. The acid generated from plant lignin in the mats as the plant fibers break down becomes a source of harmful acid contamination. The formation of acid from plant lignin will cause yellowing in a relatively short time. It will also damage items in the frame — such as documents and photographs. Using conservation grade mats will only cost a little more. But conservation grade mats have a much longer life expectancy. Conservation grade mats will also prolong the life of any paper or documents that come in contact with the mats. Another reason to use conservation grade mats is because they have greater resistance to bleeding. Bleeding is the term associated with a mat’s color transferring to objects inside the frame upon exposure to water. The real culprit is not actual water in the frame moistening the mat. The real problem is associated with high humidity in certain geographic regions. If the art is displayed in a high humidity environment, (like in a coastal setting) there is the risk of the mat colors bleeding out and contaminating the art. The third reason non-conservation mats should be avoided is their susceptibility to fading. 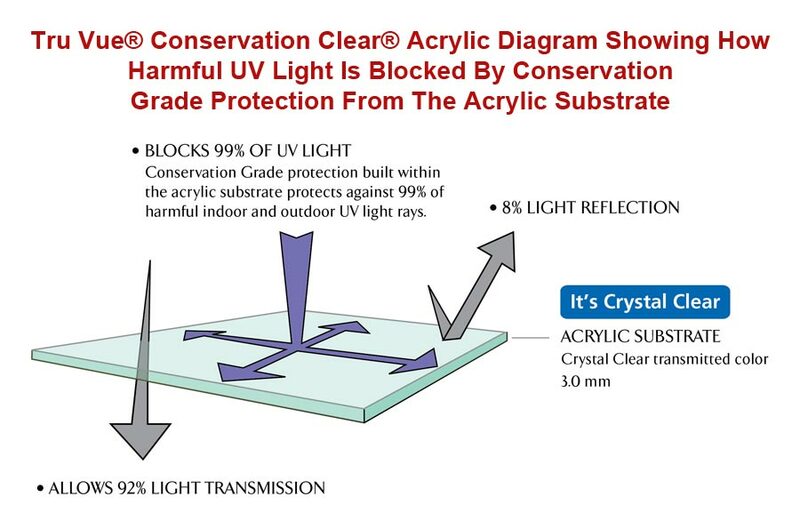 Conservation grade mats will not fade as rapidly as non-conservation mats—even when UV protective glass is used for framing. In time, the non-conservation mats will fade, no matter how well they are shielded from UV light. The onset of acid contamination is the first symptom of noticeable mat deterioration. This is illustrated by the following real-life example: A customer brought us a framed military piece that a competitor did. The customer asked us to re-frame it into a different design. His piece had only been framed a short time. However, the effects of the acid contamination to the mats began to emerge. As you can see by the mats around the Combat Infantry Badge, cheap non-conservation acid mats are the kiss of death for picture framing. 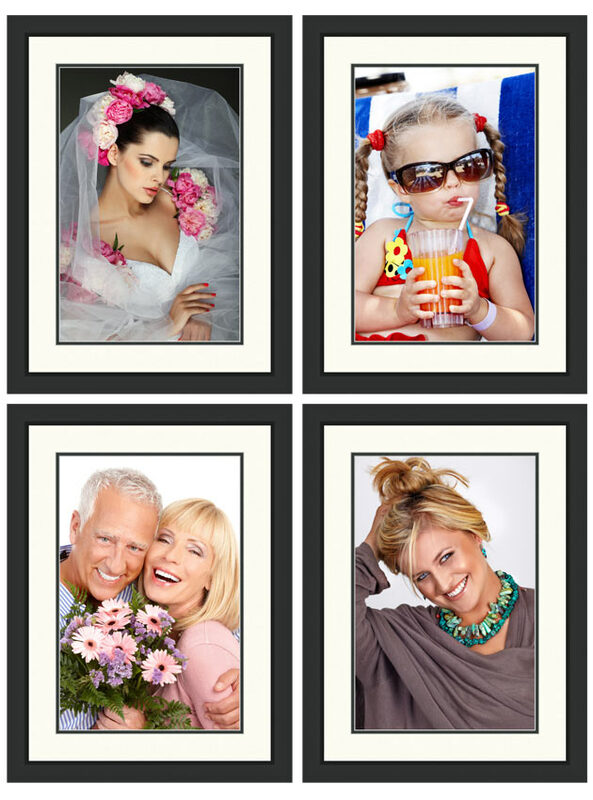 Many custom picture framers hold themselves out as providing quality service and materials. However, many of them refuse to use acid-free/conservation grade mats for picture framing based on cost considerations. But the customer is the one who ultimately pays for the framer’s mistake. The acid in the mat’s paper fibers will eventually result in yellowing and damage to objects inside the mat. In this example, the yellowing is obvious as it begins to form in the bevels. This damage is permanent and irreversible. The example also illustrates that the original bevel color was white. This onset of yellowing occurs rapidly, and it destroys the quality of the finished product. The Big question for your framer: Are conservation grade or acid-free mats used by your framer? 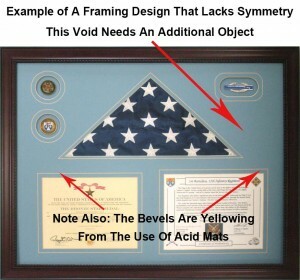 When framing objects such as a folded flag, a knife, and thick objects such as coins, medals, and ribbons, it is necessary to create added depth around the objects. Framers create spacers made out of foamboard for this purpose. We use acid-free foamboard to create spacers to frame large objects in shadow boxes, flag display cases, and for frames with tall profiles. 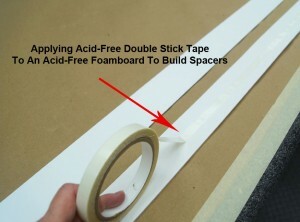 Layers of foamboard are sandwiched together using acid-free double-stick tape to create depth. 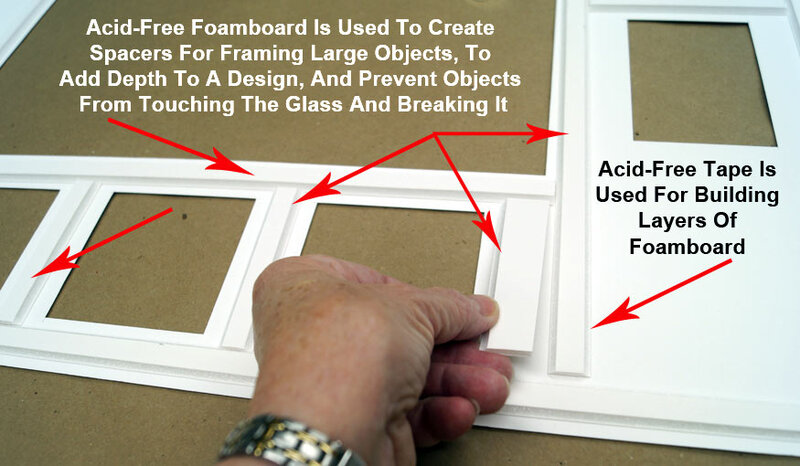 Another role of foamboard and acrylic spacers is to separate objects from the glass. This prevents objects from breaking the glass. Spacers also prevent photographs, artwork, fine art, woodcut engravings, watercolors, awards, documents, diplomas, etc. from touching and sticking to the glass—damaging the art. We’ve seen very expensive drawings and artwork become attached to glass because they were not separated by spacers from the glass. We deal with customers in a high humidity geographic area. High humidity for a display area sometimes results in mold forming on the paper items inside the frame. This occurs when paper items are improperly framed. Usually the framer will sandwich the art between the glazing without airspace. The art does not have the opportunity to breathe. There is no air separation between the glass and the paper objects. Moisture forms from temperature changes, condensation, and then mold develops. If the art is valuable, the services of a conservator will be required to remove the mold and save the paper inside the frame. This remedy is very expensive. Preventing mold or preventing the attachment of objects to the glass is a simple matter. Controlling the environment where the objects are displayed will have an impact on mold development. The second step requires the installation of spacers in the frame. Not all framers install spacers as part of their framing procedure. Are acid-free spacers used to separate objects from the glazing? Is art sandwiched directly between mats or foamboard and glass or acrylic glazing? 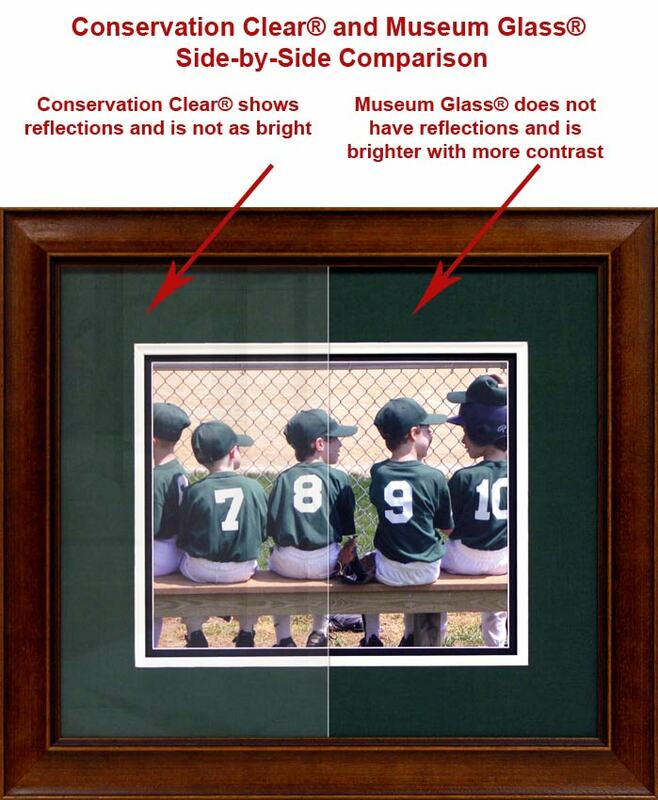 Are acrylic or acid-free spacers inside the frame to separate the glass from the paper items? Rabbets vs Rabbits! A rabbet is a part of the frame that holds the art or the mats in place. A Rabbit is a furry bunny. Most consumers have never heard of a frame’s rabbet, much less how their “bare” existence presents problems for the longevity of something framed. Raw wood contains acid and lignin. And as the wood gets older, the lignin in the wood breaks down and creates more acid. With time, acid from the wood will leach into the mats and artwork. Therefore, a wood frame will be the source of acid when it is transferred from the rabbet to the art or the mats. Eliminating the bare rabbet is easily accomplished by a conservation framer. 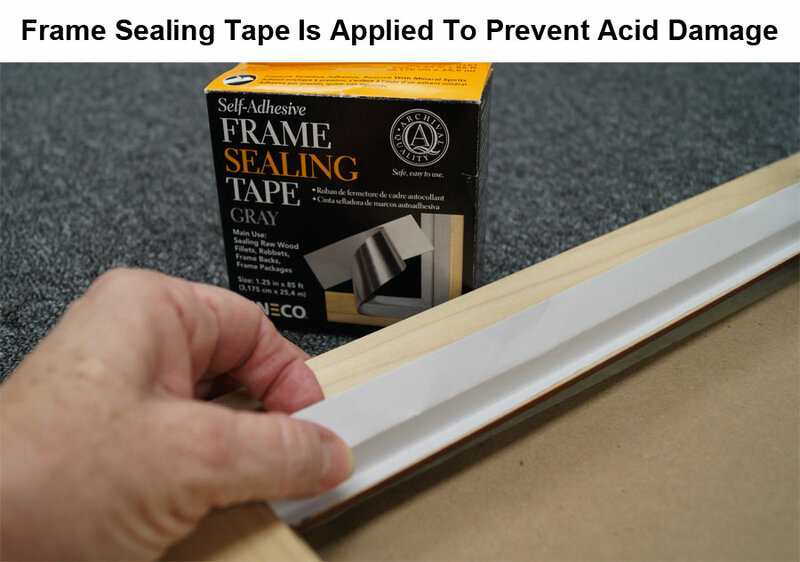 The acid transfer problem can be prevented by sealing the frame’s rabbet with archival frame sealing tape. Most non-conservation framers do not even know this problem exists! And that’s a real tragedy for the custom picture framing industry. Great art will be damaged years from now by the acid from a frame’s rabbet—because the framer wasn’t knowledgeable enough to prevent the problem. We have considerable experience sealing frame rabbets. We seal all bare wood rabbets. Since we exclusively use wood profile frames for guidon framing, flag cases, and shadow boxes, we seal the rabbets to prevent acid transfer. Ask your framer: do they seal wood rabbets with archival frame sealing tape? Keeping The Bugs and The Dust Out! A dust cover’s purpose is to prevent dust and insects from entering the frame from the back and contaminating the art or objects inside the frame. Only a minority of framers fail to seal the back of a frame with a dust cover. However, the majority of them fall short by failing to use acid-free paper for the dust cover. A quality custom picture framer should use acid-free paper for constructing a dust cover. If your framer puts a dust cover on that is the color of an old brown kraft paper bag, or if they use black paper, then they are not using acid-free paper. We only use acid-free paper to make our dust covers. The paper we use is light gray. Click here to see an example. What color are your dust covers? 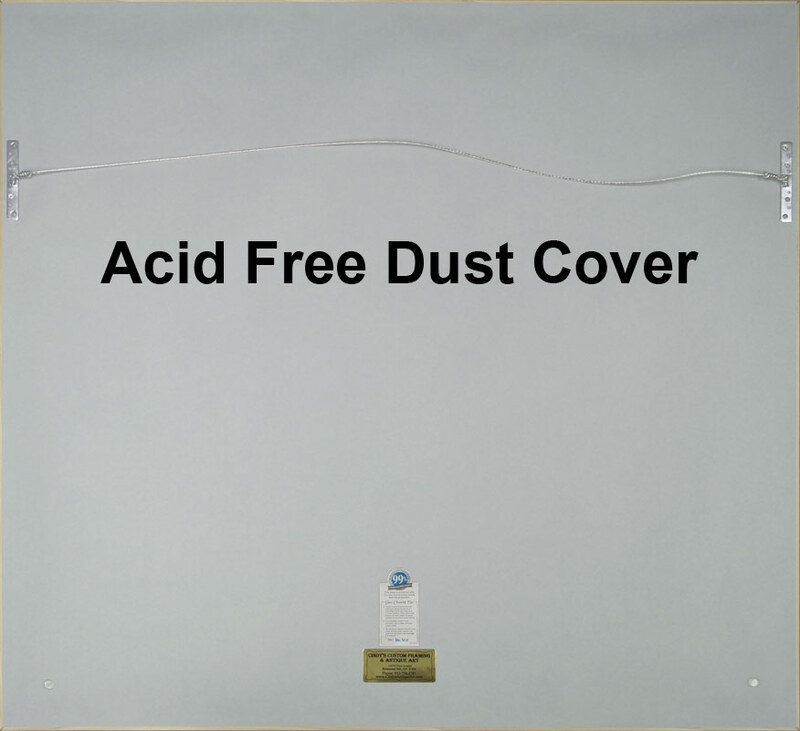 Are your dust covers acid-free? The transfer of acid to the components and objects inside the frame. It is also important that the framer uses acid-free tape to mount the paper on the back of the frame for the dust cover. 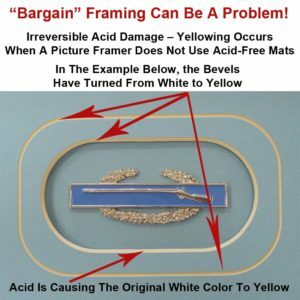 Do you use acid-tape in your frames? Do you use acid-free tape to mount the dust cover? Mounting Valuable Art or Documents Correctly Is Of Extreme Importance! 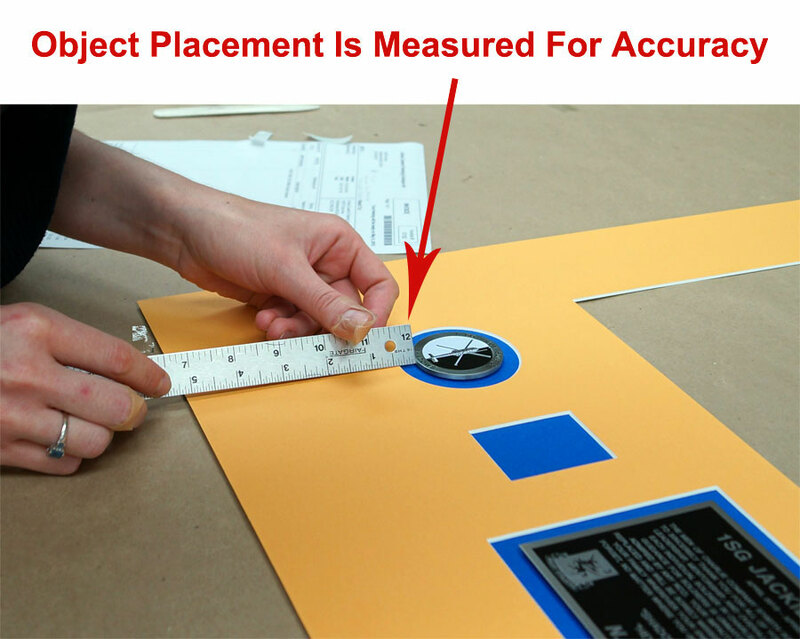 Objects properly mounted on mats and foamboard using acid-free materials before placing it inside the frame. Good framers will protect your flat art, documents, certificates, diplomas, awards, etc. They realize that at some point in the future, you may wish to remove a valuable document or piece of art from a frame and place it somewhere else. On the other hand, the bad framer won’t care about a future use. Most often diplomas, valuable art, photographs, and awards fall into this category. The good framer wants to preserve your art. Dealing with a bad framer risks the possibility of damaging or destroying these items. Either the bad framer will lack the knowledge to preserve them properly (the dupe), or the framer (the wolf) will ignore their importance, value, or your sentimental attachment to them, and frame them cheaply in a manner that is totally useless beyond the frame. Bad mounting practices include a number of procedures that will result in damage to art, diplomas, awards, photographs, etc. This will either occur with time from acid damage. Or, the items will be damaged when an attempt is made to remove them from the frame. A good custom picture framer will look toward the future. Their desire is to frame your paper products with what is known as “reversible mounting”. Basically, reversible mounting offers the ability to remove paper products (fine art, paper art, documents, diplomas, etc.,) without damaging them. Reversible mounting is also an established conservation framing practice that quality custom picture framers utilize. 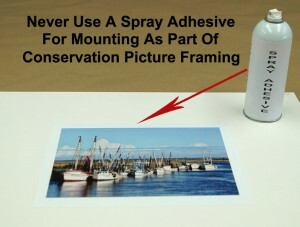 In the past, many framers and photographers permanently dry mounted paper products directly to mat board or foamboard. This procedure was used to prevent paper products from curling or falling inside the frame. That was the prevailing assumption that their customer would never want to have their art removed or used for another purpose later on. Today there are a number of products on the market providing a safe way to dry mount photos and paper products. The product we use is 100% completely reversible, completely acid-free, and ph-balanced. This product does not leave residue on the prints or paper products dry mounted. Here is an example of a flat photograph mounted onto acid-free foamboard in the vacuum press. In this illustration, a diploma is being hinge mounted to acid-free foamboard using Archival Japanese Hinging Paper. Hinge mounting is the preferred way to mount valuable documents. Diplomas, limited edition prints, one-of-a-kind art, and important documents demand archival mounting to acid-free foamboard or mat board. In the illustration on the right, a diploma is being hinge mounted to acid-free foamboard using Archival Japanese hinging paper. This hinging paper is water activated and is reversible. This means the art can be removed from the frame at a future date without damaging the art. The use of archival hinging paper is recommended for diplomas, limited editions prints, museum quality prints, antique art, and one-of-a-kind pieces. Please note also: There is a huge risk for damaging sheepskin documents (diplomas) if it is heat mounted in a vacuum or dry mount press. To avoid damaging it, sheepskin should only be mounted using archival hinging techniques. Fine art prints? Antique documents? Is 100% reversible mounting offered? Is archival hinge mounting offered? These are important questions to ask. These questions will determine if your picture framer uses conservation framing materials and techniques. Most importantly these questions will determine if the framer is putting your important and valuable documents at risk of destruction by poor framing practices. The items discussed in the pricing area will help you evaluate custom picture framing. This section offers a comparison across a broad range of custom military framing services. Not all framers will price the same way. In many cases, “how” they frame will influence their price. While most custom picture framers have point-of-sale pricing software, their margins, overhead, and labor charges vary from framer to framer and from frame shop to frame shop. The complexity of the design influences the price. For example, a simple frame with one opening and a single mat will differ dramatically from a frame with a large number of openings for objects with multiple mats. If the frame also includes flags, guidons, medals, ribbons, and military memorabilia that are odd-sized or difficult to mount, then the price will go up. To build a complex shadow box can take 16 hours or more! Some large projects even take as long as 40 hours or more to complete. Compare this to a simple design that only takes 1 to 2 hours to complete. Glazing options will increase costs. A premium glazing like 99% UV Protective Optium® Acrylic will be more expensive than 99% UV Protective Conservation Clear® Glass. The number of mats influences the price. A single mat will cost less than triple mats. The style mats used impacts prices. Paper mats cost less than suede, linen, or silken mats. Rag mats, which are 100% cotton archival grade, cost more than acid paper mats. The type frame moulding used will impact the costs. Frame moulding can range from a few dollars per foot to hundreds of dollars per foot! Real wood frames vs plastics and MDF frame moulding determines the price of the frame. Using fillets will increase the cost. Fillets are miniature frames placed inside the bevel mat cuts or inside the inner edge of the frame to enhance a frame’s design and the art inside it. 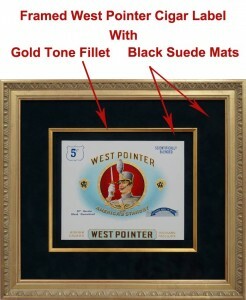 The example on the right illustrates the West Pointer Cigar Label framed with suede mats and a fillet. Conservation grade vs non-conservation materials will impact the price. Non-conservation framing uses cheaper materials and takes shortcut steps in the assembly process. The result is a cheaper product, but the objects framed are doomed to a short life! Preparing fabrics, flags, and guidons for framing also takes time. We iron all flags and guidons—which takes longer to prepare. Also, we take the time to make sure the stars in a flag display are pointing up and are aligned properly. This attention to detail requires time and increases labor costs. The way objects are attached to mats and foamboard influence the price. For example, the non-conservation method of taping flags and guidons into place requires less labor than sewing them in place. Hence, it is cheaper to tape the flags and guidons in place. 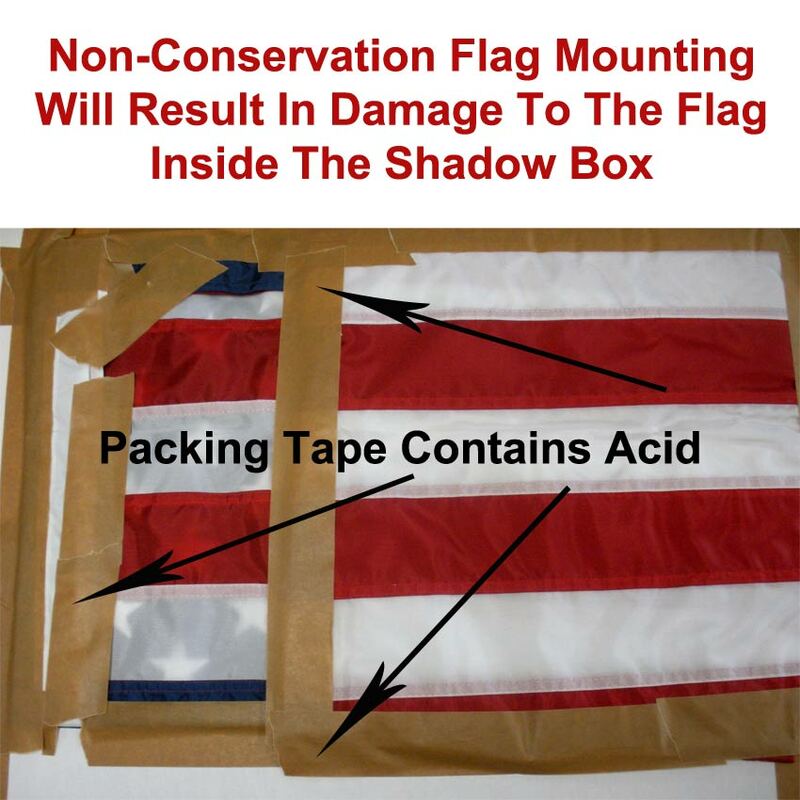 Click here to see non-conservation framing method used to tape a flag with packing tape for a shadow box. The way small objects are secured in a shadow box or frame impacts price. Double stick-taping coins and medals in place are less labor intensive than cementing them in place with acid-free adhesives and then waiting on the adhesive to cure and set up. The way documents and flat art are mounted impacts prices. For example, it takes longer to hinge mount a diploma with Archival Japanese hinging paper than it does to spray some adhesive down and paste the diploma in place. 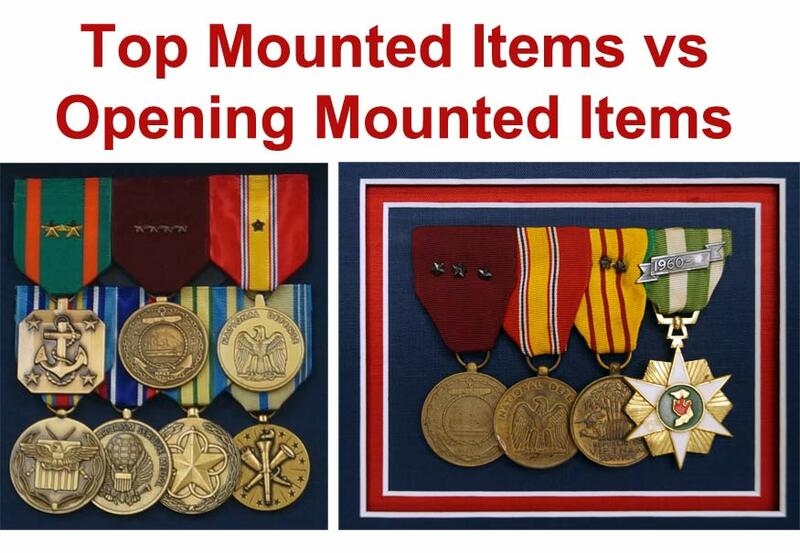 The use of specialized mounting clips for shadow boxes and display cases cost more than double-stick taping them in place. Services such as photo restoration, retouching, and printing can add costs to a frame job. Some framers will include photo printing as part of the job, while others do not provide this service. We offer photo printing for a small fee for photos incorporated into the frames we build. Styles, sizes, and the number of nameplates affect the price. The number of objects framed will impact frame job costs. Large objects require layers of foamboard to be layered together to create depth for shadow boxes—resulting in higher labor costs. The size of the frame matters for pricing. If the mats’ size exceeds 32” x 40”, the mats go to oversize. This causes mat prices to go up. Also, going to oversize eliminates some mat color options. In addition, larger frames often require the use of acrylic glazing because the weight of the completed project becomes so great that hanging it and handling it becomes a problem with glass. The use of acid-free tape vs acid tapes will influence the price slightly. There should be a durable hanging system on the back of the frame that includes a plastic-coated wire. 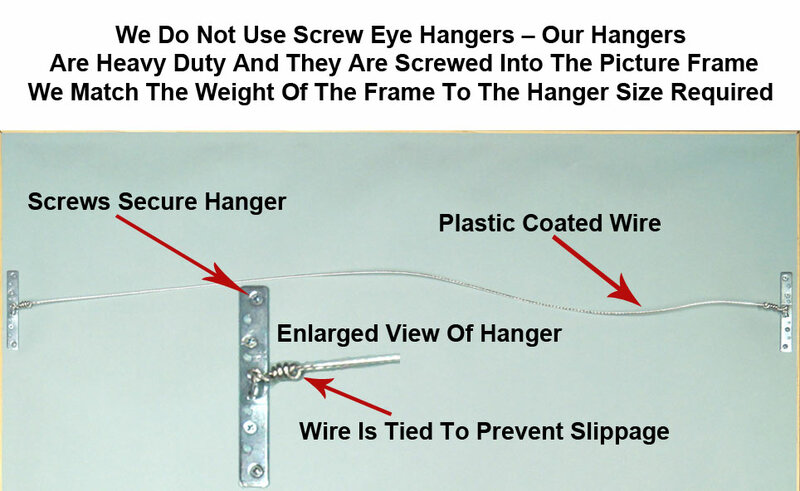 A cheap hanging system will save a few dollars but may not secure the frame properly. Our guidon packages include the custom made guidon, the mats, frame, nameplate, dust cover, glazing, hanging system and free shipping with insurance. Check to see if other vendors include these items as part of a framing package. Check to see what other framers offer. For example, other framers may only offer printed, sublimated, or silk screen guidons as part of their package. Our packages use conservation grade framing materials. Other framers may not be including conservation framing materials as part of their package. We will gladly make modifications to our guidon packages. For small changes, there may not be a price increase. For example, exchanging mat colors with the same style mat is not an expense we will charge for. Get a detailed price for changes when you deviate from other framer’s packages for guidons or flag framing. What impacts the price of our packages is a size increase for the frame. Generally, the inclusion of additional objects will cause the size of the frame to increase. Still, we urge you to contact us with any design changes and we will gladly review any possible price changes. To recap, there are a number of factors that will influence custom picture framing prices. This is especially true for custom military framing. In summary, the following items impact a frame’s final price. Looking for a quality frame shop that offers great designs and conservation framing can be confusing. For a shadow box or picture frame shopper, it is difficult to determine how much a design is worth. For example, an expensive frame job poorly designed that lacks artistic quality, or blatantly reflects the values of the designer rather than yours, will turn you against the framer. At the same time, a cheap, snappy-looking frame job with non-conservation products may look great today, but it will be worthless in the future. As stated above the quality of the frame moulding material will influence the price of the frame. Plastic frames and moulding made from Medium Density Fiberboard (MDF ) will cheapen the price, but will also lower the quality of the framed piece. Plastic and MDF are a low-quality option that we Do Not offer. As mentioned above in the pricing section, the hanging system for custom framing will have a slight influence on the overall price. However, what is more important involves the quality of the hanging system. A good hanging system is your best precaution against a damaging fall that may destroy your framed art. As experienced custom picture framers, we have repaired a lot of broken glass from frames that fell from walls. In most cases, the picture frame fell because the hanging system was inadequate, or the frame’s hanging system was improperly installed. Using cheap screw eye hooks and a hair-thin wire is not an effective way to hang heavy, glassed art or shadow boxes. We match the weight of the frame to the appropriate hangers required to support the weight. We also match the weight requirements for the plastic coated wire attached to the heavy-duty hangers. On much larger, heavier frames we use Wallbuddies to support the weight of the frame and glass. Click here to see an example of the Wallbuddies hangers for very heavy frames. Click here to see an example of the standard heavy-duty hanging system. Example showing the application of bumpons to the back of a frame on the dust cover. Rubber bumpons are small items on the back of the frame. They barely influence the cost of a frame job. However, we apply them as an added custom framing service. 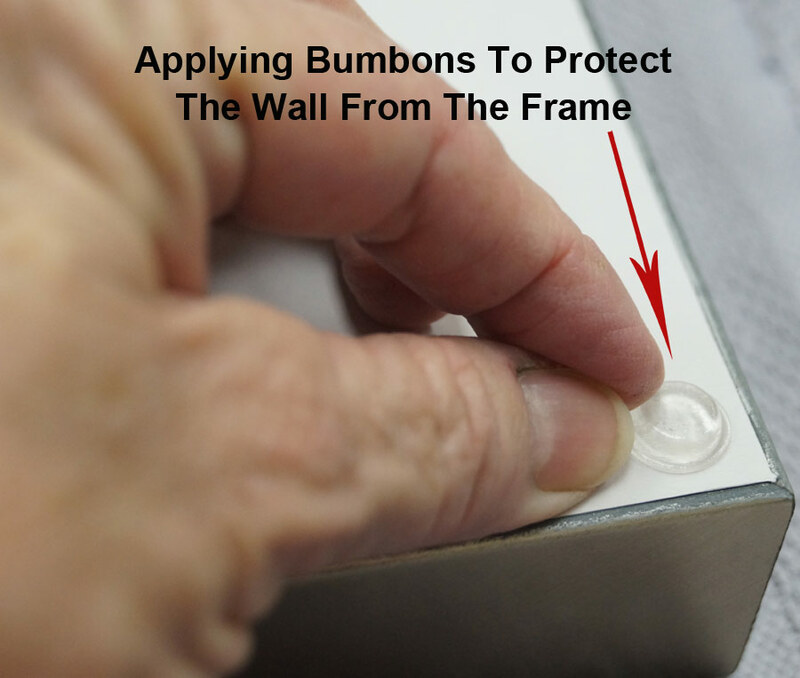 The role of the rubber bumpon is to prevent the frame from striking and damaging the wall. Some framers place a sticker on the back of the frame’s dust cover. Typically, this provides a phone number, street address, and website address. We add our sticker to the back as a standard procedure. It is our badge of honor! Other framers do not provide a sticker. Perhaps they are ashamed of the completed project! See an example of ours. A good framer will care enough about their customers to include instructions for cleaning the glass or acrylic. We do this for everything we frame, usually by putting it on the dust cover. The established standard for conservation grade UV glazing protection is 97%. We exceed this standard by using glazing rated at 99% UV protection. 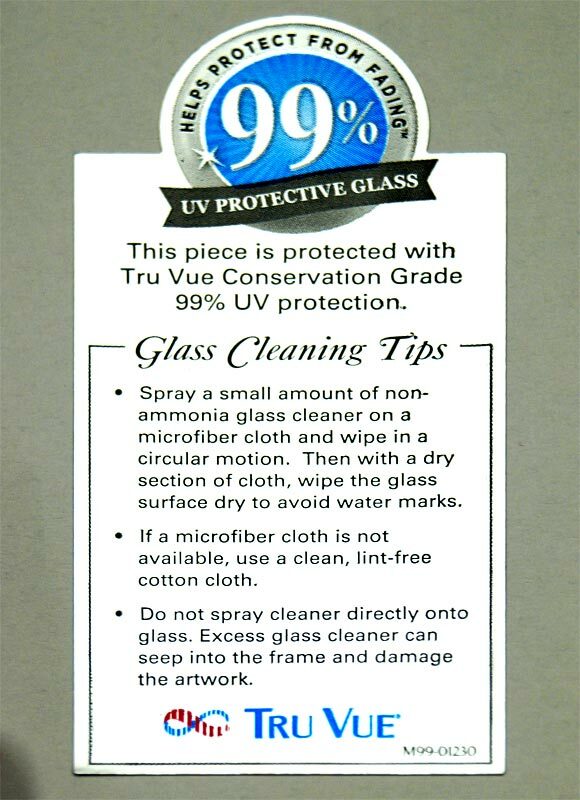 A conservation grade framer will certify their glass/acrylic with a sticker that indicates the degree of protection offered. A certification sticker is usually attached to the dust cover. We certify everything we frame by including a sticker similar to the one on the left with one for the appropriate glass or acrylic used in the frame. When large shadow boxes and military prints are framed, it is not always possible to put every supportive document in the frame as part of the frame’s design. For example, an artist’s bio or historical information about the print often accompanies limited edition art prints and artist’s proofs. Letters of authenticity or certification documents will also accompany antique art. At other times, cards of sympathy or letters of commendation or acknowledgement may accompany something framed, but are deemed too personal to display inside the frame. One of the best ways to keep documents with the frame that are not included in the frame is to store them on the back of the frame. When this need arises, we will provide a clear acid-free mylar sleeve. And we attach the sleeve with documentation to the dust cover at no cost to the client. We view this as a simple courtesy for our customers. What will be used for the hanging system on the back of the frame? Does the framer use heavy, plastic coated wire? Will a heavy frame be supported with hangers designed to support the weight of the frame? Is the framer’s contact information on the back of the frame? Does the framer provide bumpons or a way to prevent the frame from damaging the wall? Is there a certification about UV protective percentage rating of the glass or acrylic? Will the framer furnish glass/acrylic cleaning and maintenance instructions on the dust cover? Will the framer attach a clear mylar sleeve to the dust cover for housing important documents related to the items inside the frame? Your goal should be to find a framer that best reflects your values and vision for what you want to have framed. Remember, the framing process is about you and your art, not what the framer wants! Selecting A Quality Military Framer Over A Bad One! Don’t Gamble On A Bargain Framer Who Does Not Practice Conservation Framing–It Is A Losing Bet! Not all picture framers practice conservation framing techniques. As we have repeatedly asserted and illustrated, framers who fail to use conservation framing techniques will harm your art and your mementos. Because your items are valuable, we advise you to conduct a thorough search for your custom framer. Please exercise the same caution when engaging the services of a custom framer that you would with any professional–a banker, insurance agent, or home repairman. After all, you are entrusting valuable items to a stranger. Your expectation is that the framer will look out for your best interest and safeguard your mementos and art. Frankly, a bargain framer won’t exercise this degree of responsibility! They will use sub-standard, non-conservation framing materials in order to make a profit on a “budget” frame job. Remember the wolves and the dupes—always be vigilant and ask questions to determine who you are dealing with. We Cannot Over-Emphasize The Need For Conservation Framing! Make sure your framer addresses the issues and questions discussed in this guide. Most importantly, it is critical that your framer uses conservation grade mats, tapes, adhesives, foamboard, and UV protective glass or acrylic. The minimum standard rating for conservation glass or acrylic is 97% UV protection. We exceed the minimum standard and use 99% UV protective glass and acrylic. We do not stock cheap “plain” glass, acrylic, acid mats, or foamboard! Shame On Cheap Framers Who Know Better! A picture frame shop owner who cheaps out by using sub-standard materials that results in acid damage to art or objects is doing an injustice to their customers. 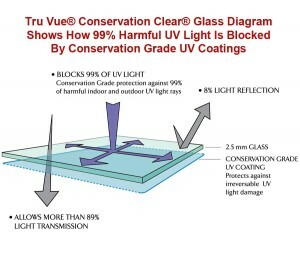 Not using conservation grade UV protective glass or acrylic is also a serious mistake that many “budget” frame shop owners make trying to cut corners for a lower price with higher profit. We appreciate your time to learn about custom military framing. This information will enable you to be vigilant and protect your cherished mementos against incompetent, cheap framers who value profit over safeguarding your possessions! The next time you want to have something custom framed, ask the framer or big box store clerk the questions in this selection guide. If their answers do not conform to the conservation/archival framing techniques we have discussed, then their lower price is not a bargain! We personally explain the material in this guide to our first-time customers who call us or stop by our frame shop. This information is an eye-opener for people believing everything that goes into a frame is harmless! We have summarized the most important questions listed above for you to ask your framer. These questions have been incorporated into a handy PDF checklist. Please click here to download your PDF Framer Checklist. Feel free to contact us with your questions about custom military framing by using our contact form or by phone at 912-756-2781. 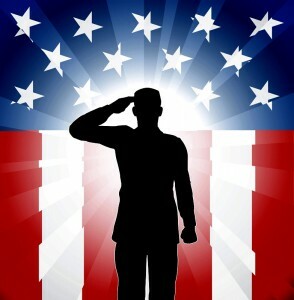 We salute the military and appreciate all they have done for us. In the event you do not become one of our customers, please keep in mind the information we have presented. 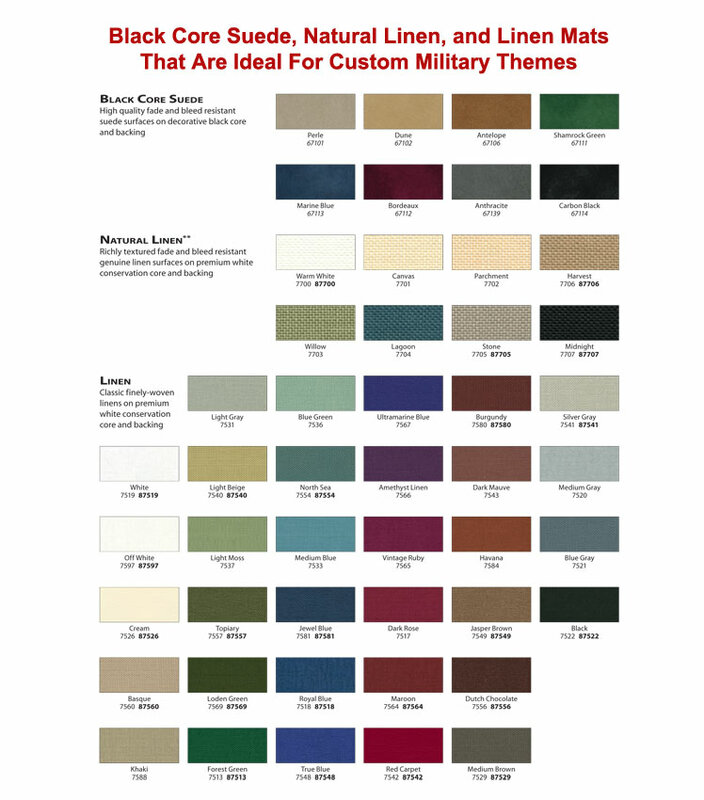 This information will enable you to find a quality custom military framer to serve you.